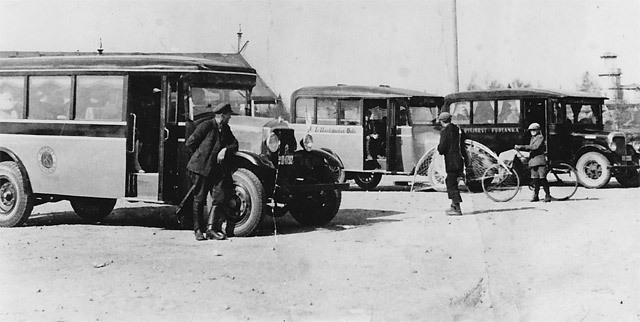 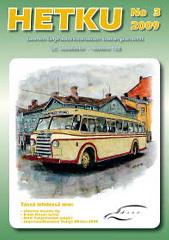 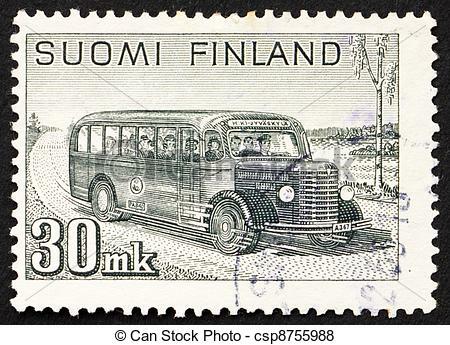 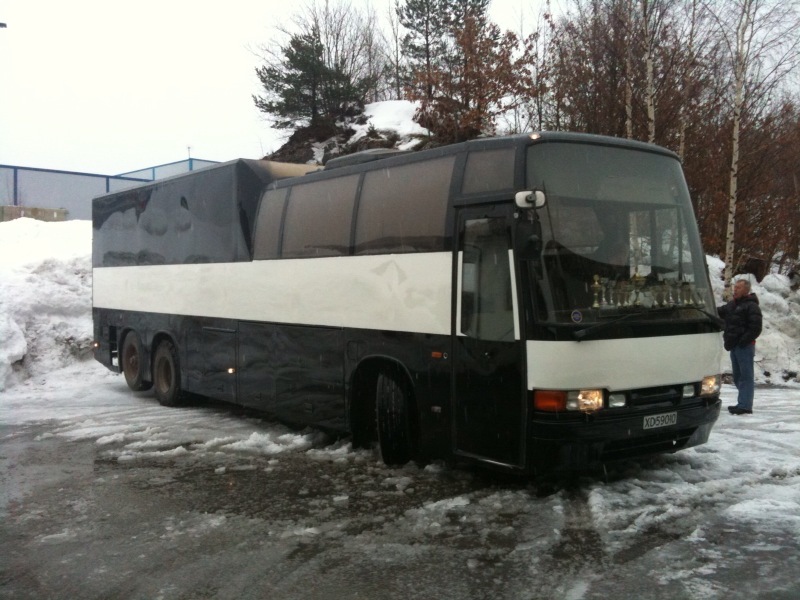 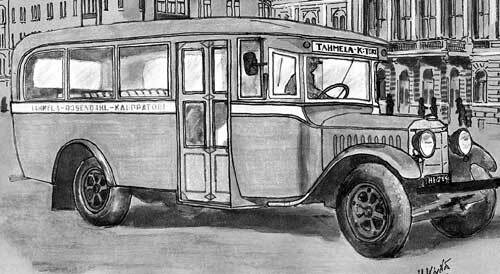 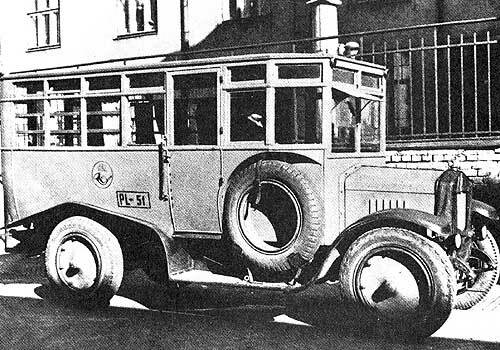 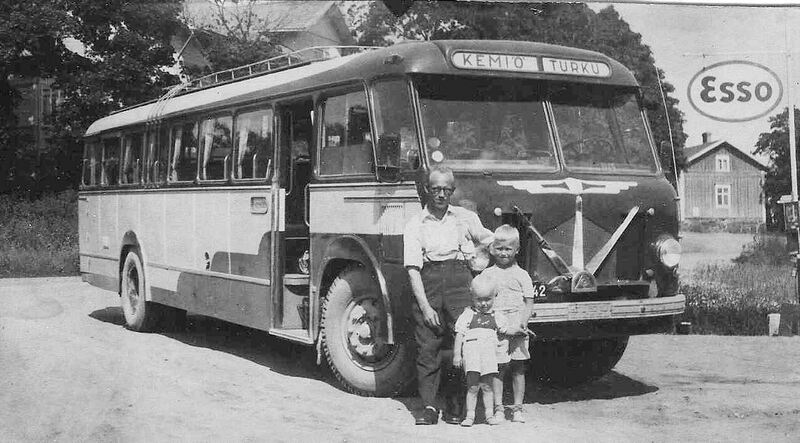 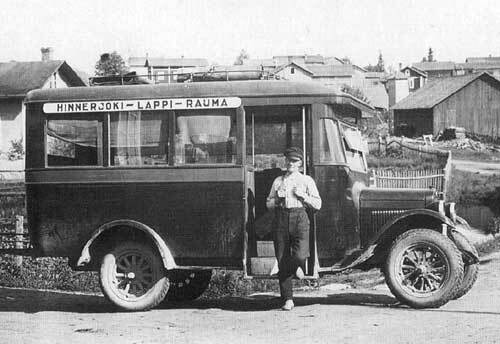 Bus bodies were built in Turku already in the late 1920s. 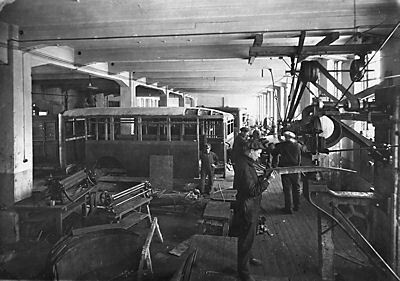 Two body building factories – “Nieminen body factory” (later known as Turun Autokoritehdas) at Tehtaankatu and a vehicle equipment factory “G.W.Wulff Ajokalutehdas” at Itäinenkatu – produced bodies, and competition between these two factories was quite tough. 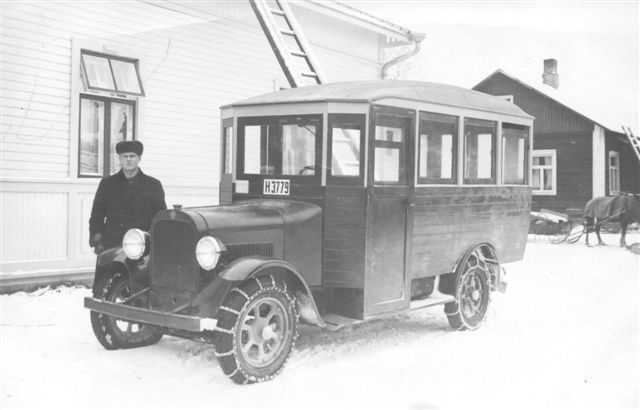 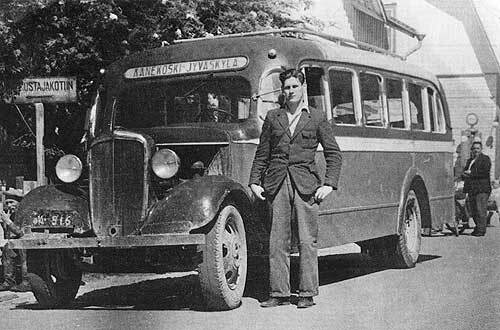 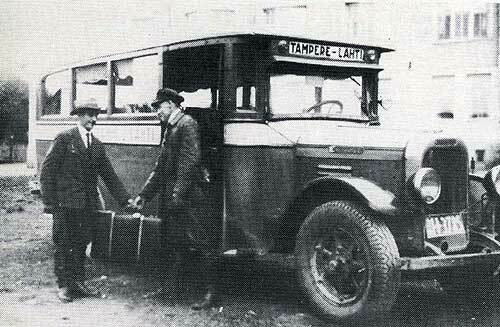 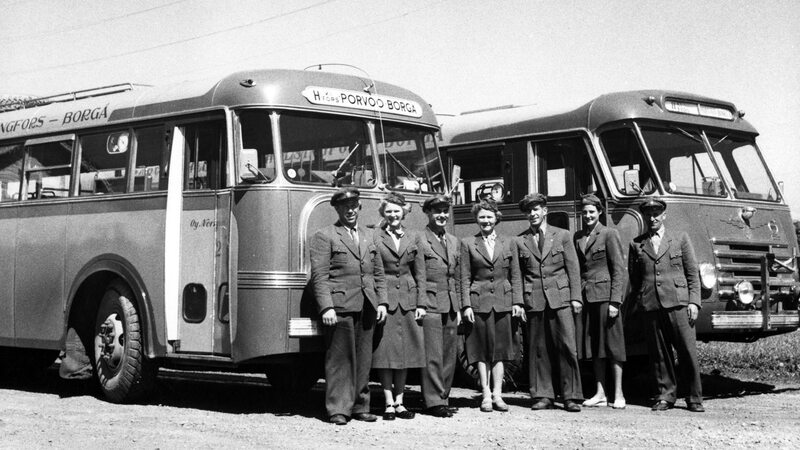 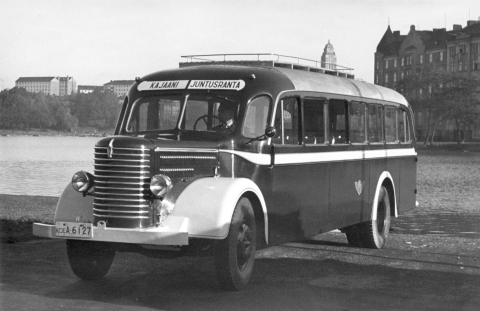 After the Great Depression, the demand for buses increased remarkably and three bus company owners Verner Arvela, Emil Heikkilä and Volmar Mäkinen decided to join forces and start their own body manufacturing factory in 1935. 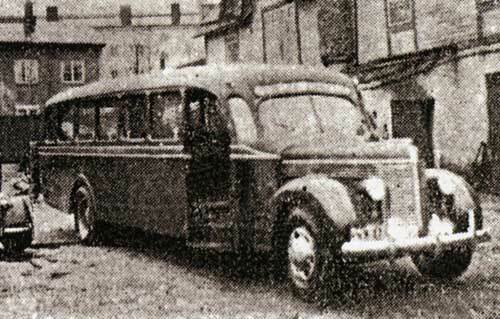 This is regarded as the start of the company. 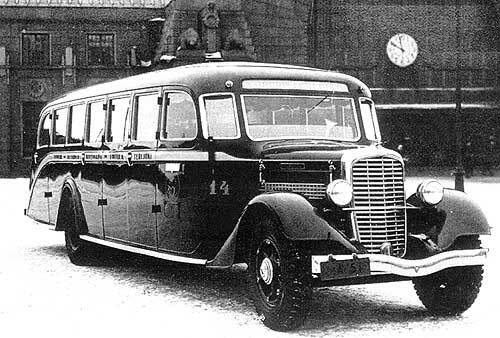 The official date of establishing the new factory is February the 1st 1936. 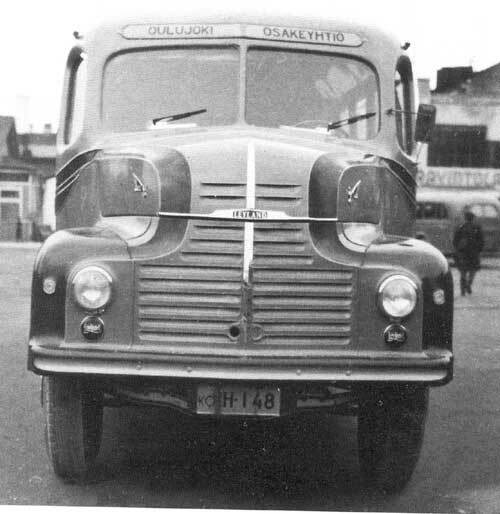 The company was named Autokori Oy. 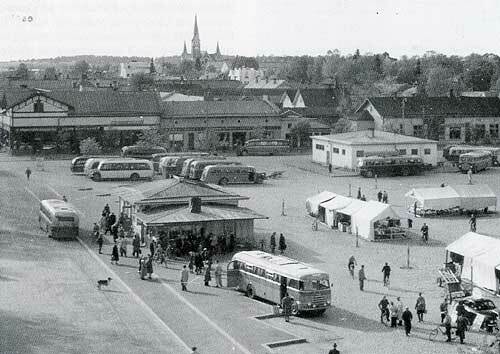 The facilities were rented from the Turku City Administration and were situated in the fields of Pispala, which is today known as the Ikituuri suburban. 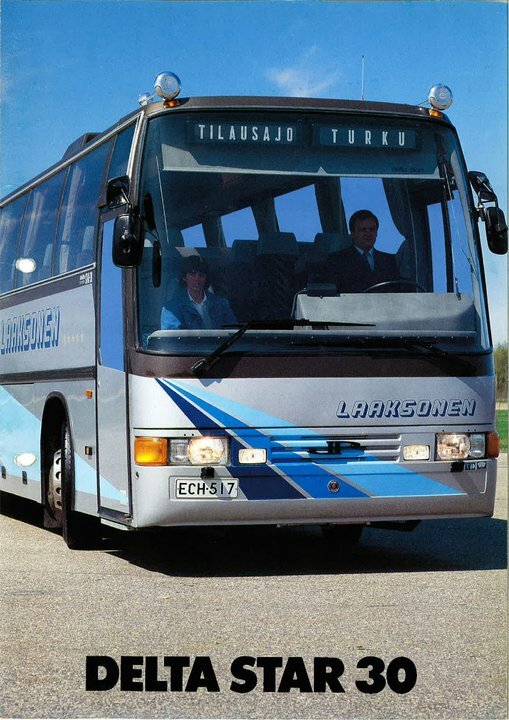 “Diamond 311.C”. 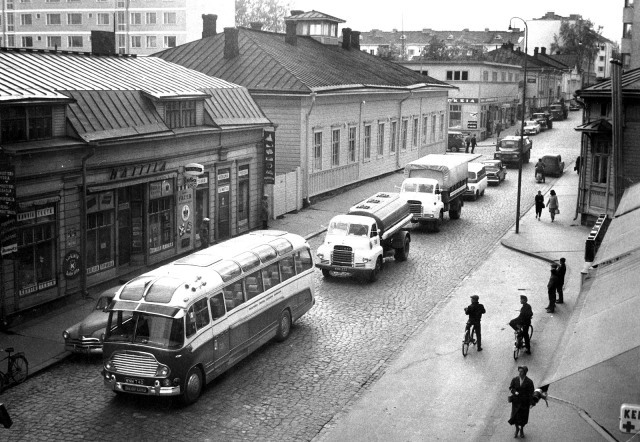 Matkustajaluku 27. 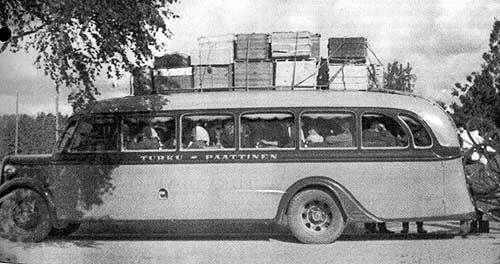 Turun autokorirakenne Oy, 26.10.1935. 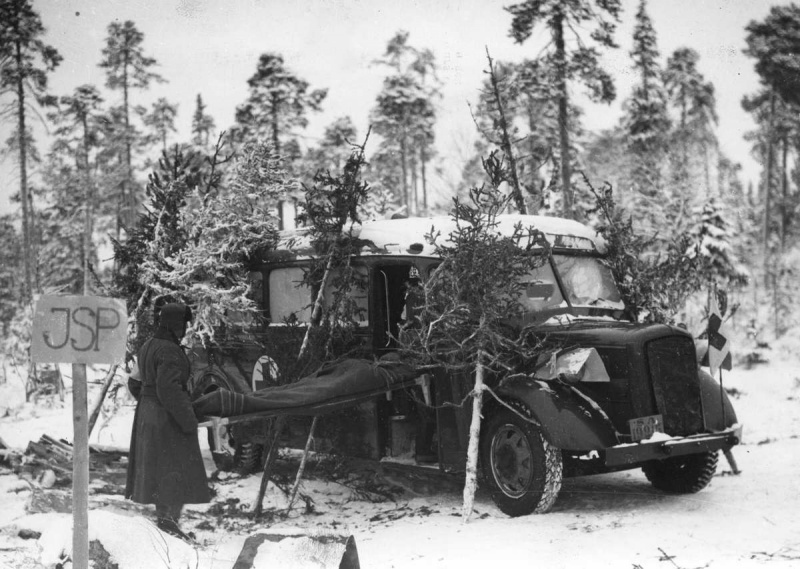 During the war the factory was involved in producing orders for the Finnish Defense Forces. 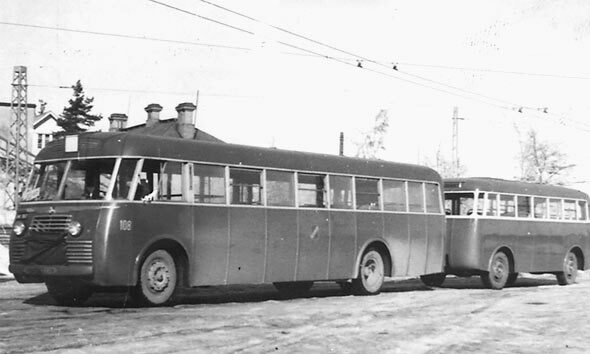 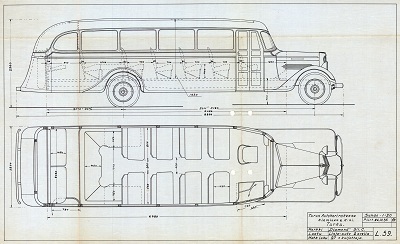 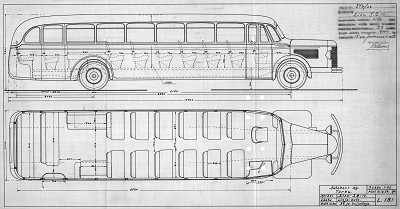 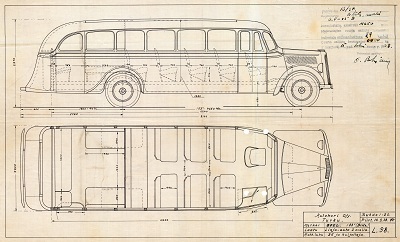 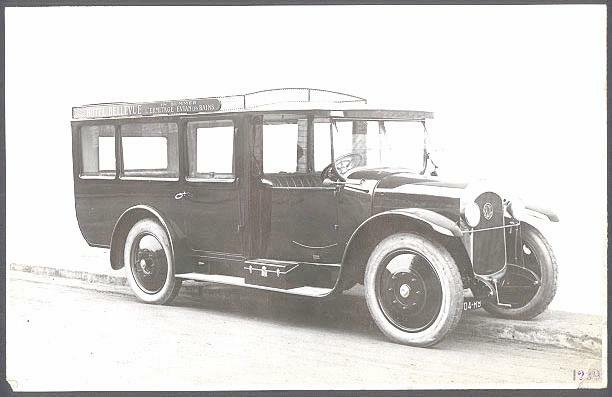 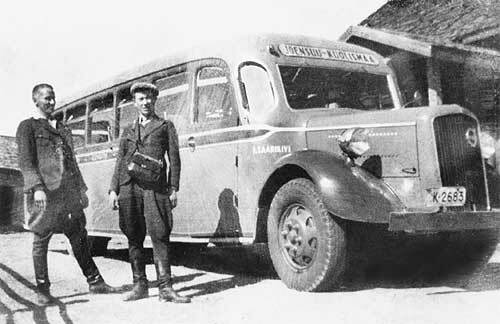 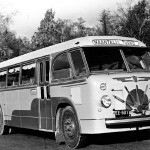 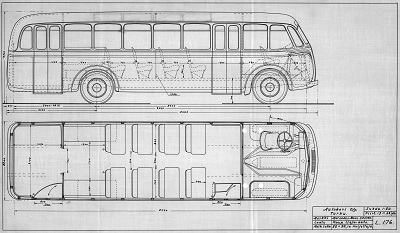 After the war, the country experienced a serious lack of buses, but the sudden demand couldn’t immediately be satisfied, as the factory also experienced a lack of chassis and components for the production. 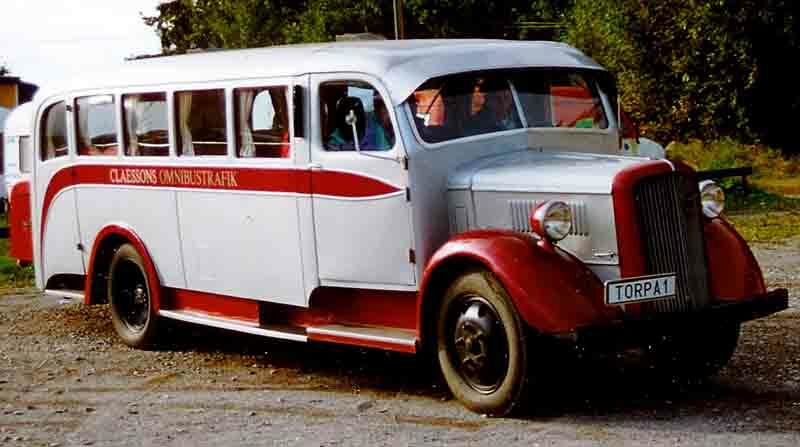 1938 Studebaker S.K.20.B-001. 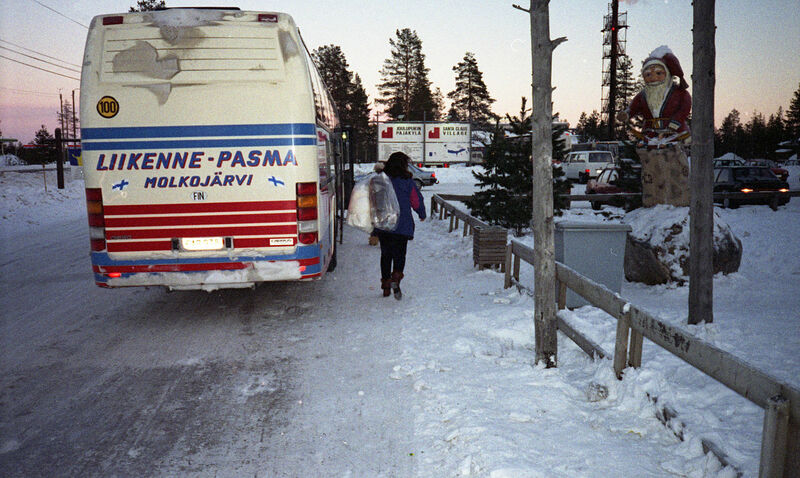 Matkustajaluku 31. 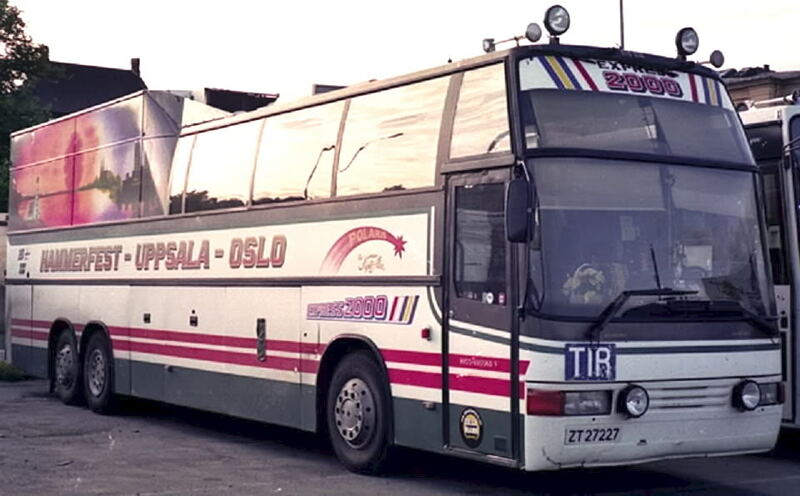 Autokori Oy. 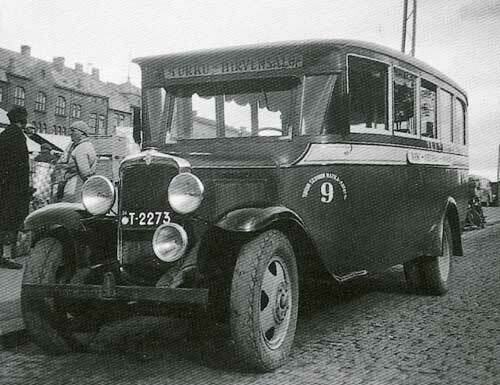 “Opel 183 (Blitz)” Matkustajaluku 26. 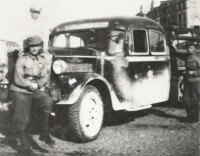 Autokori Oy, 10.2.1938. 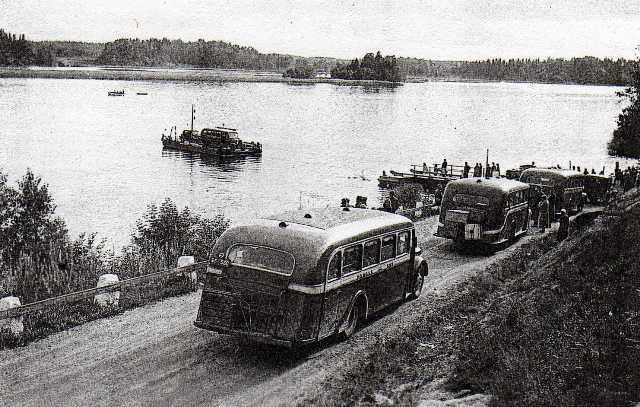 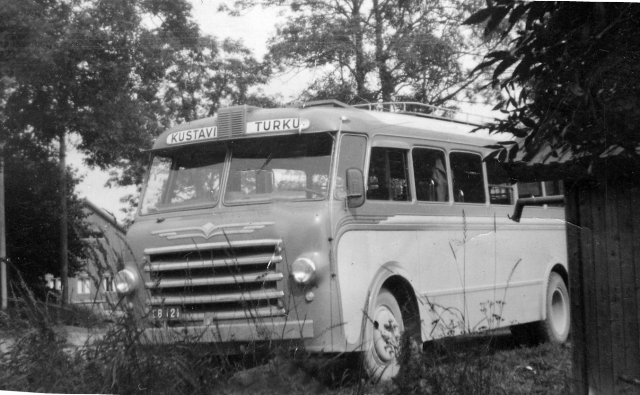 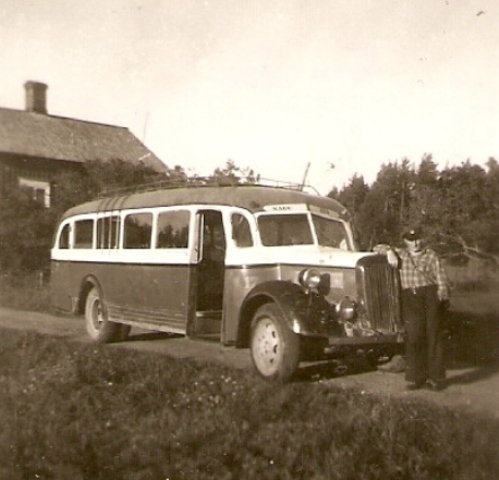 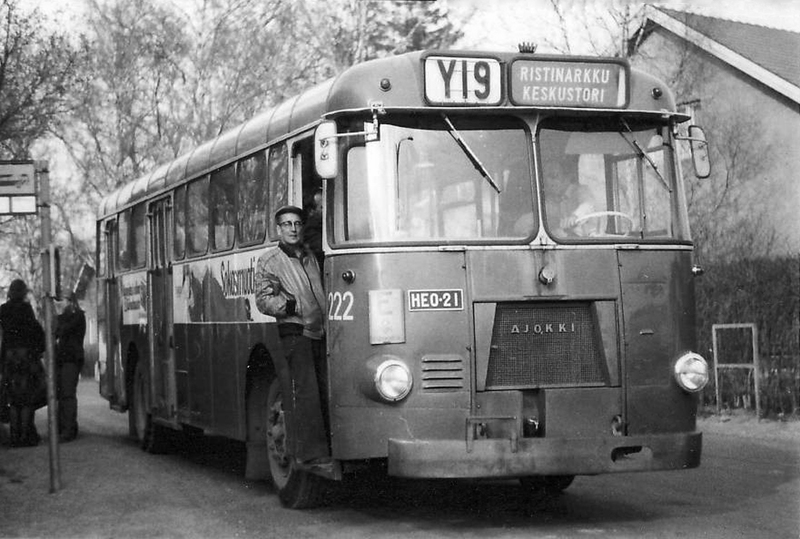 In 1950, Autokori rented a site in Itäharju. 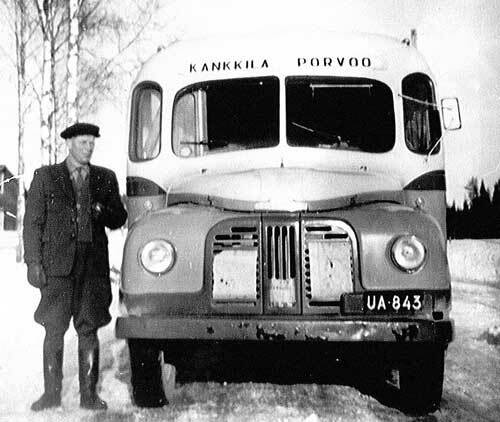 A new factory was established there and in August 1951 the whole body production was moved from Pispala to Itäharju. 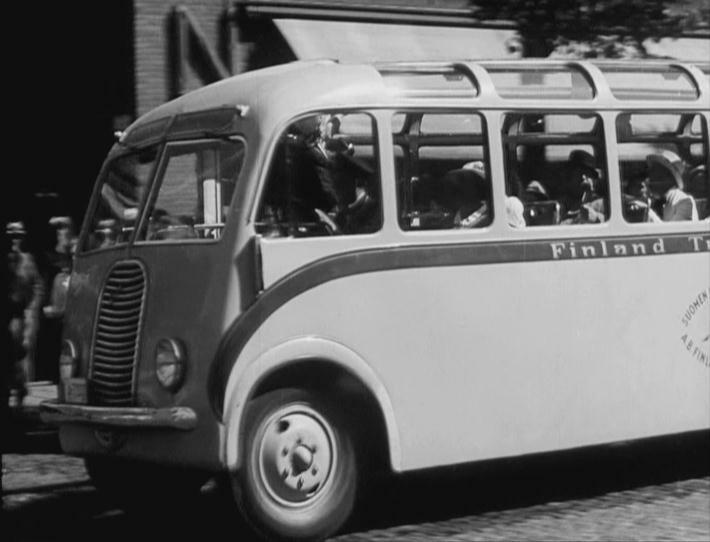 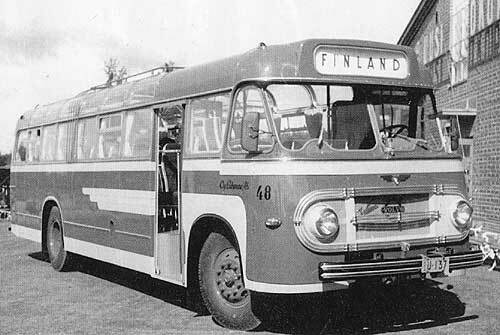 At the bus exhibition in Helsinki 1955 the company’s bus was awarded a gold medal for its steel reinforced wooden body. 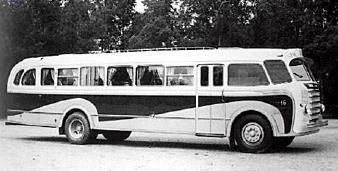 The first steel based body was manufactured by Autokori in 1957, and from April 1960 onwards steel was the base material for all the bodies. 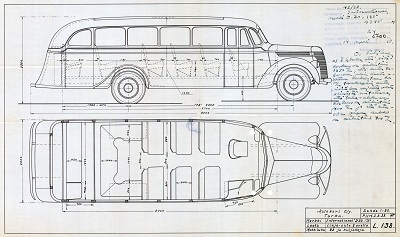 The most popular body models at the time were the Airisto and the Aura. 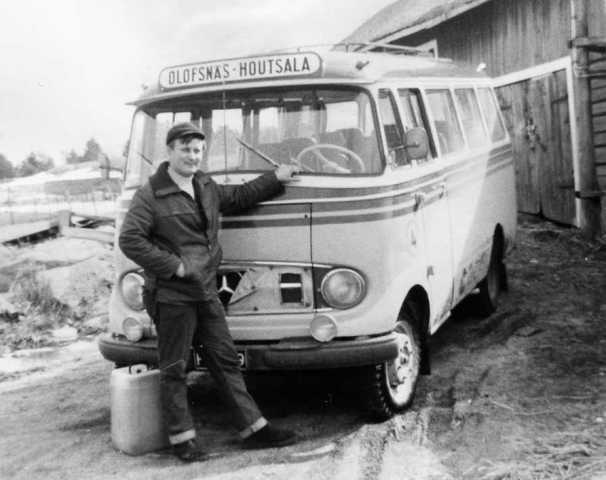 New ideas started to grow in the company in 1964 with the introduction of new ownership in form of an engineer, Aimo Laukka. 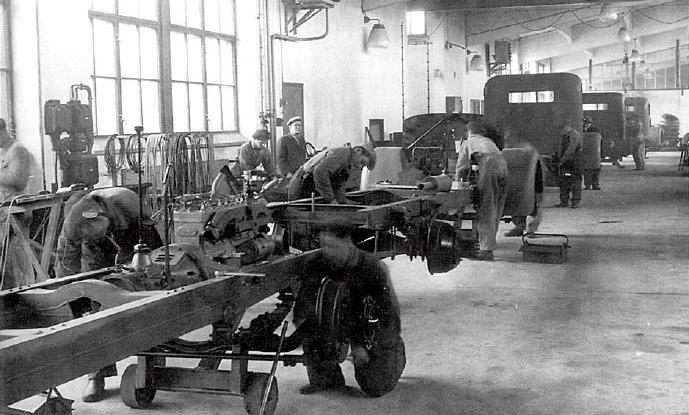 It was in these times the production started to speed up and the annual volumes started to increase. 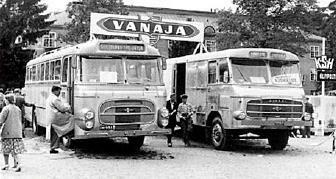 Before Laukka, the annual production was 40-45 bodies, but already in 1965 Autokori manufactured a total amount of 83 bodies. 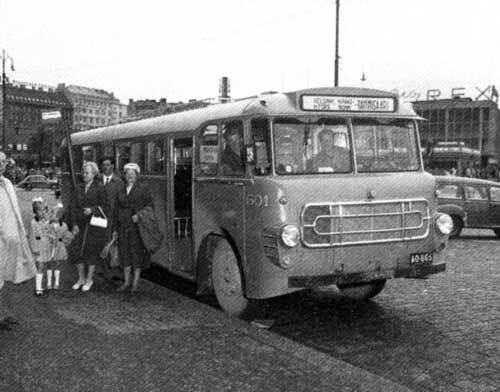 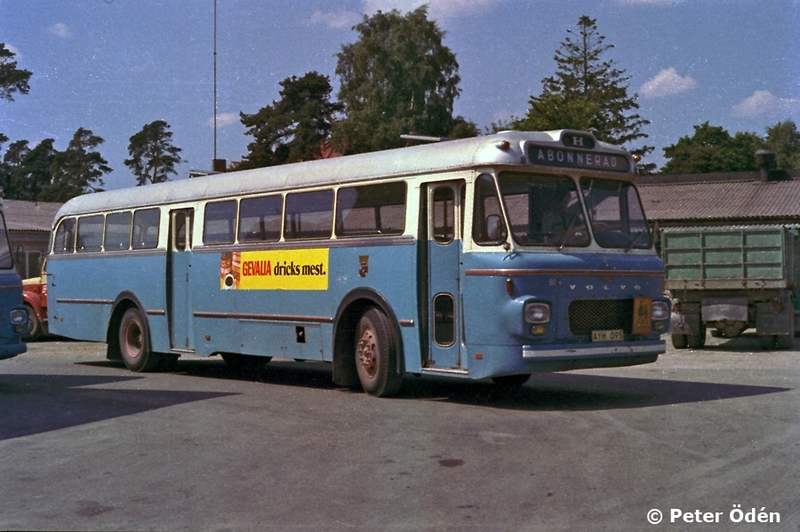 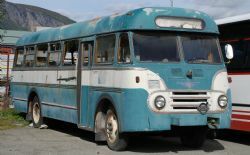 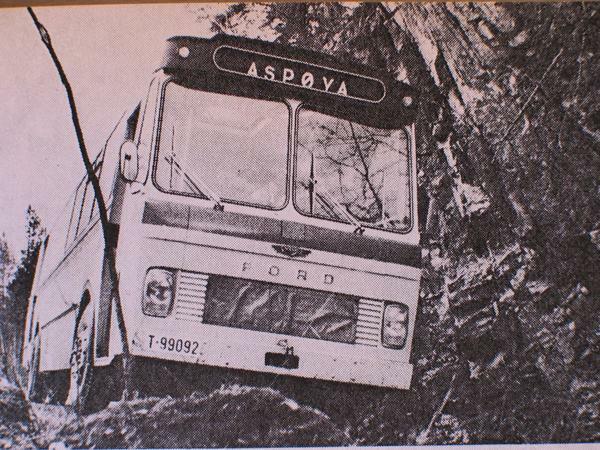 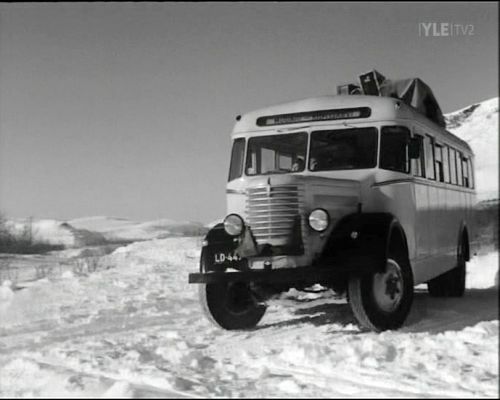 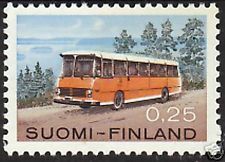 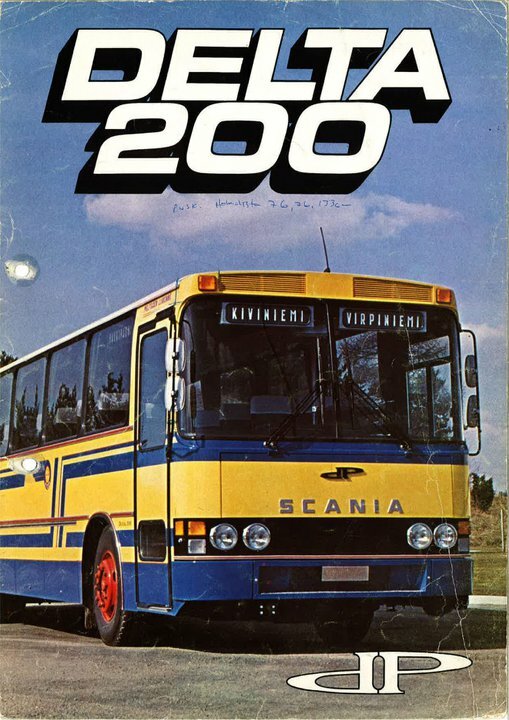 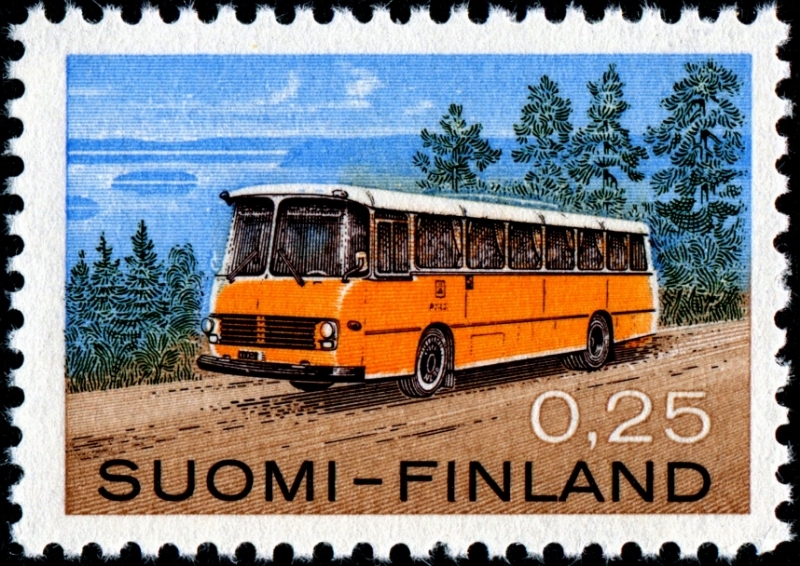 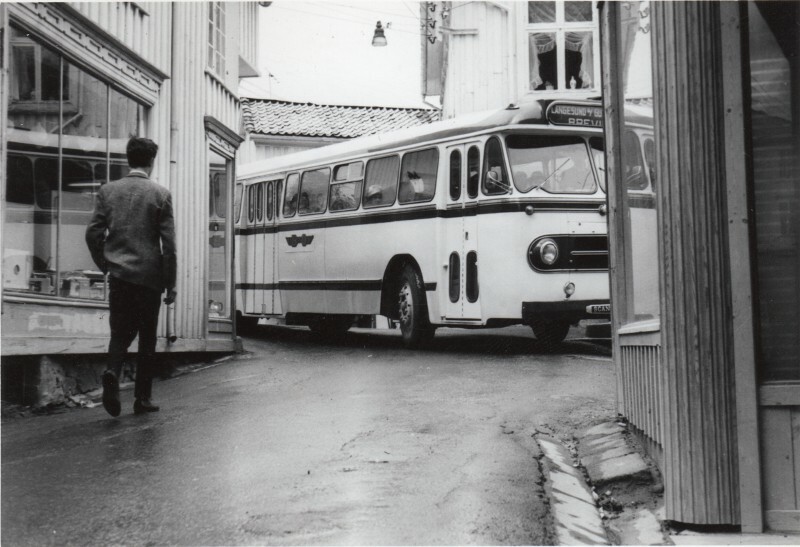 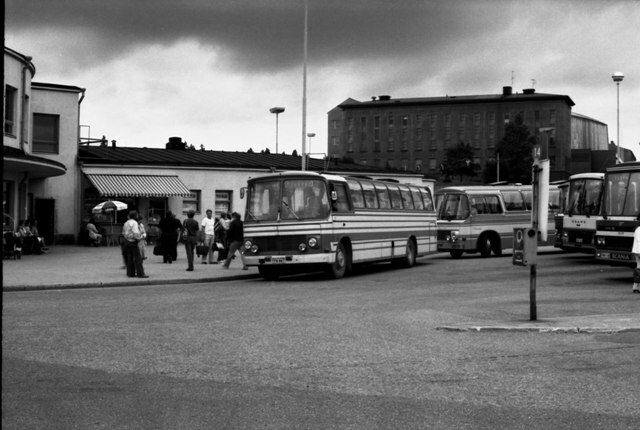 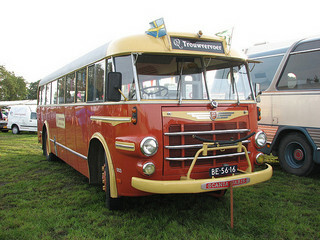 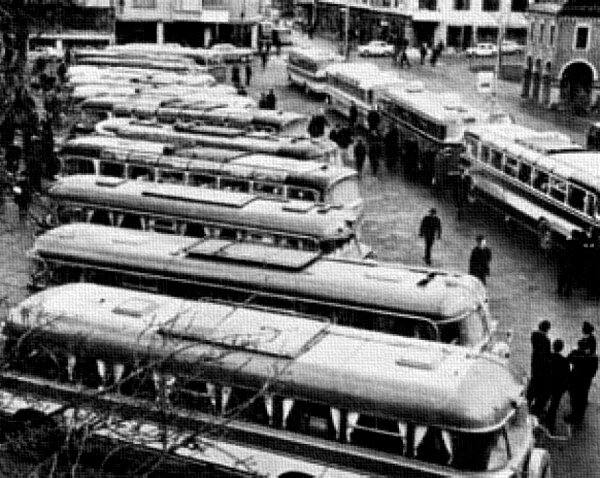 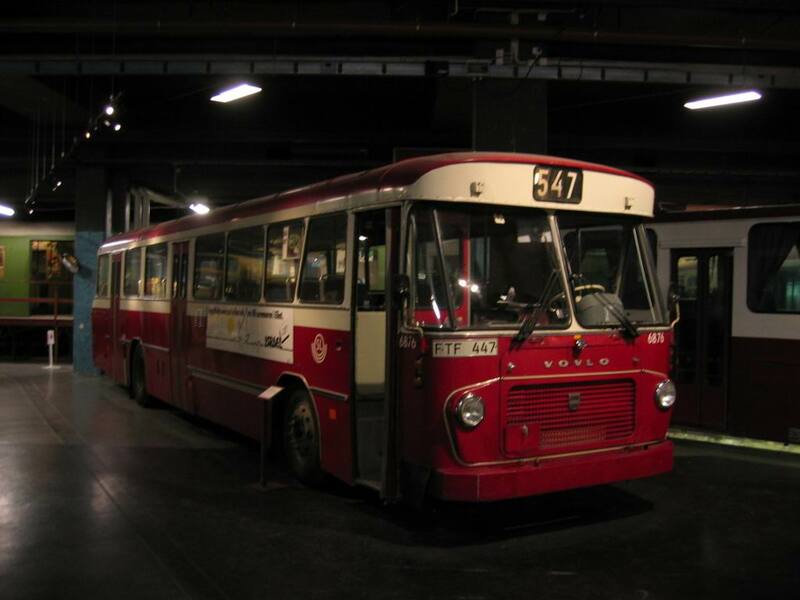 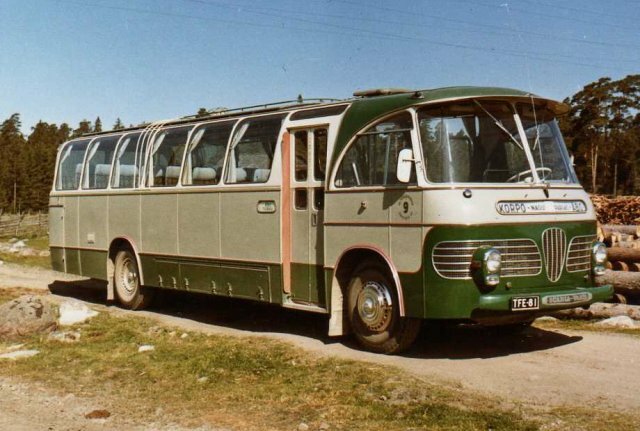 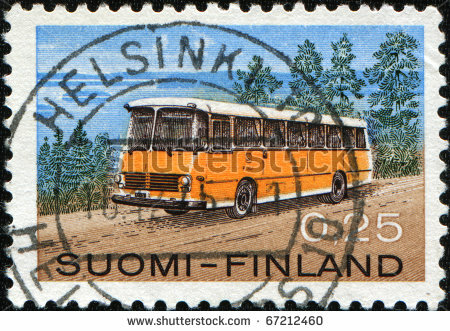 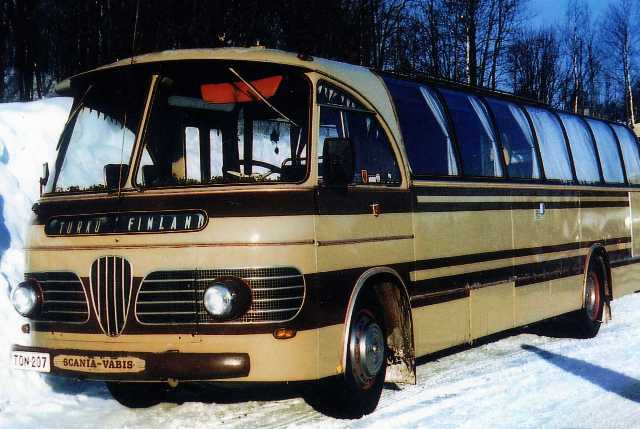 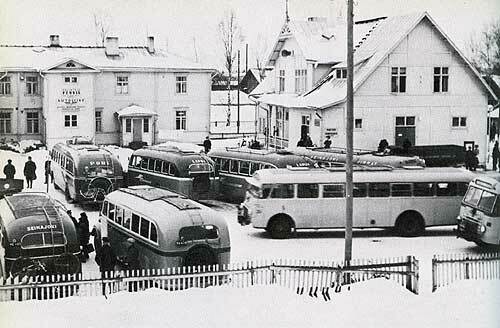 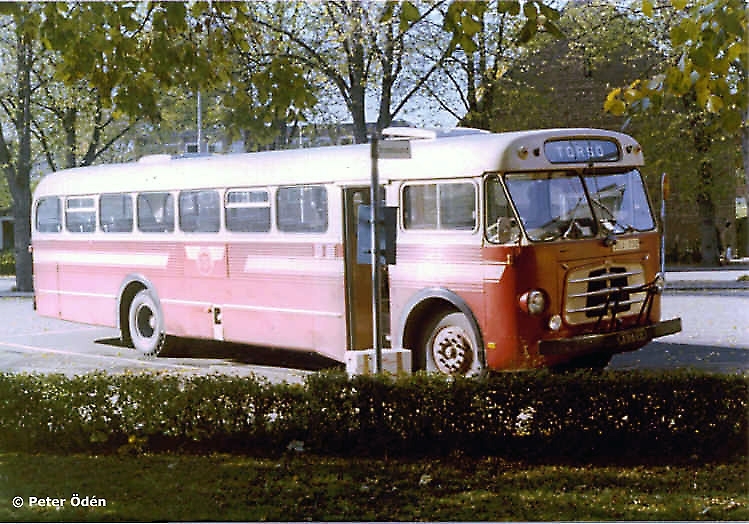 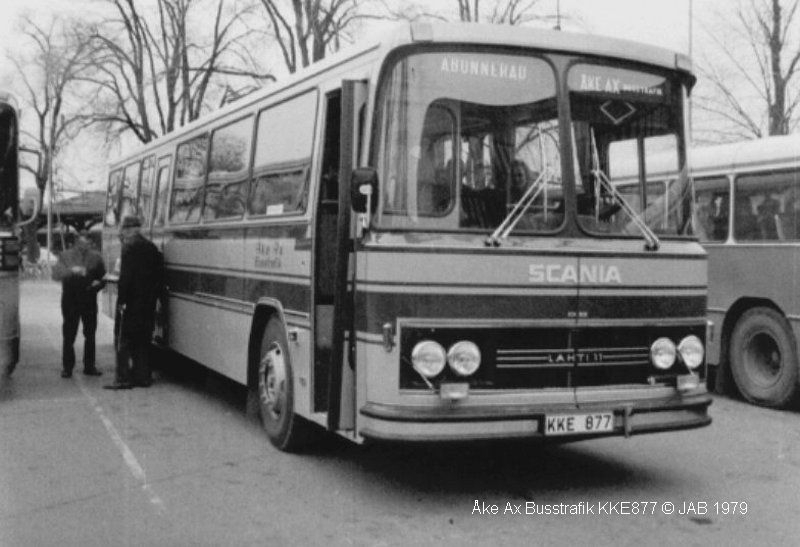 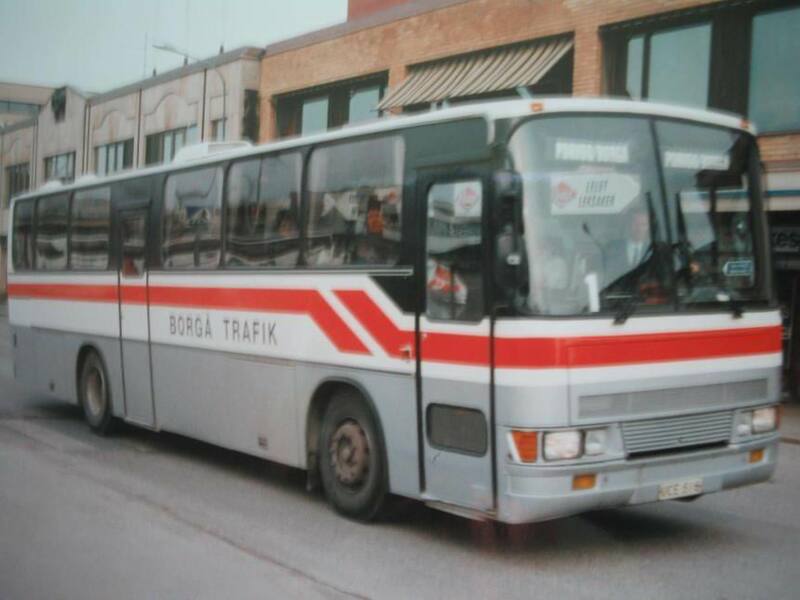 The company started to sell products outside of Finland, and the first buses to be exported were delivered to Sweden in 1966. 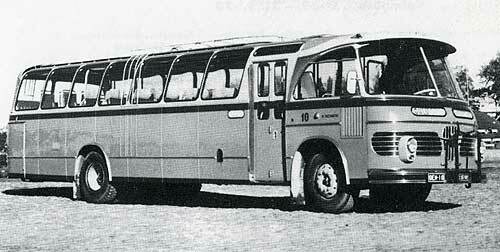 In 1969, the annual production capacity was 129 bodies, of which an amount of 19 were delivered to foreign customers. 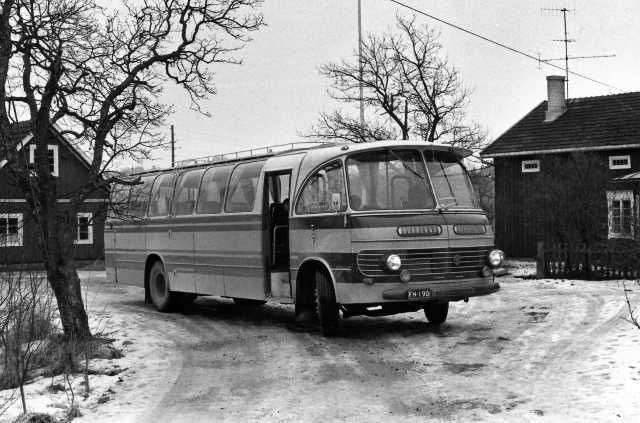 In the late 1960s, a new site was bought in Nuolemo, Lieto. 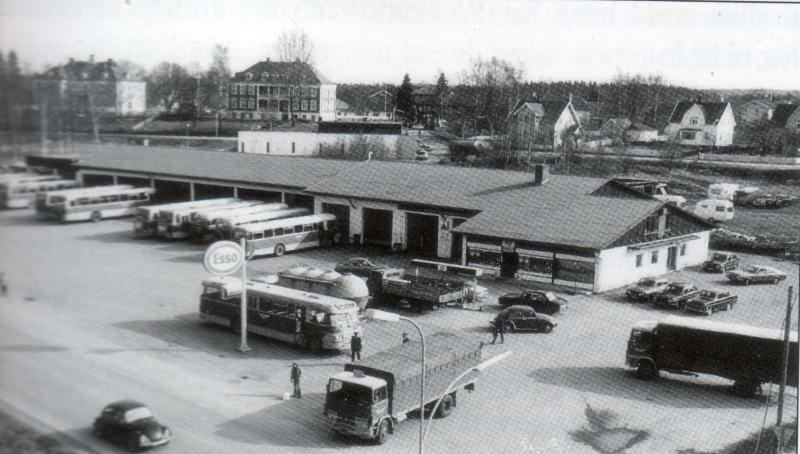 A decision to build a new factory was made and the body production moved to the new site in 1973. 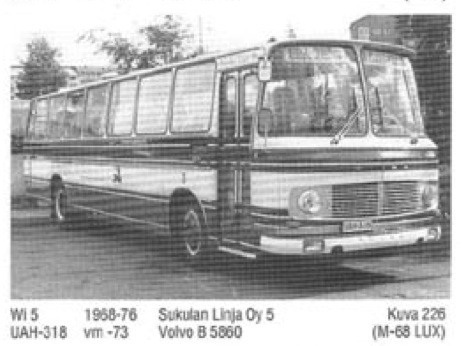 Simultaneously, the company name was changed from Autokori Oy to Oy Delta Plan Ab and the new Delta body models were introduced. 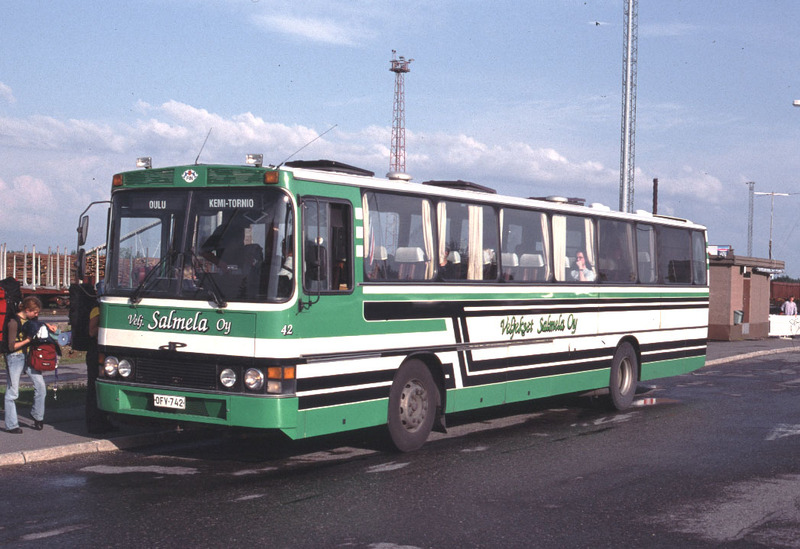 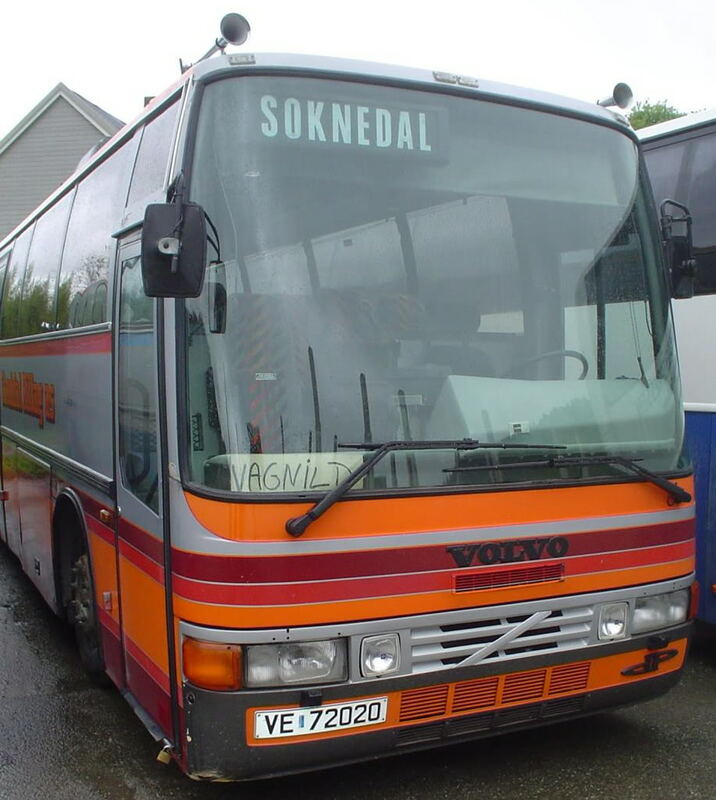 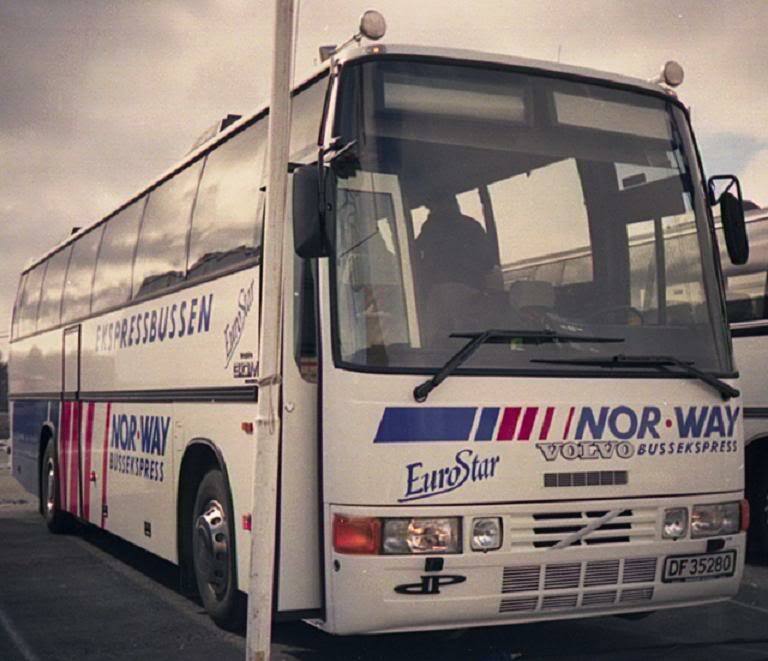 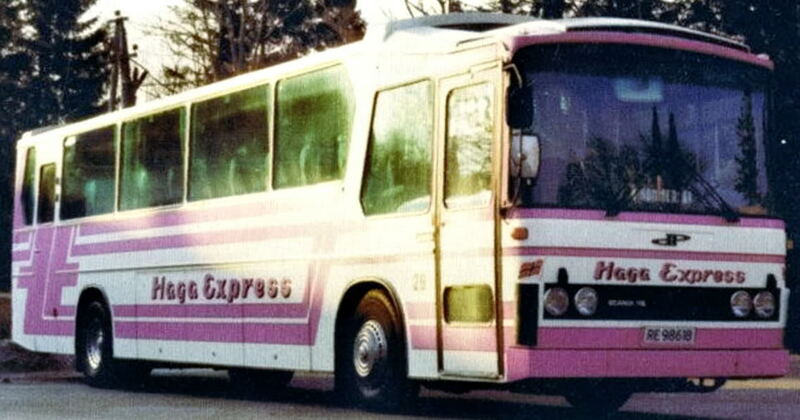 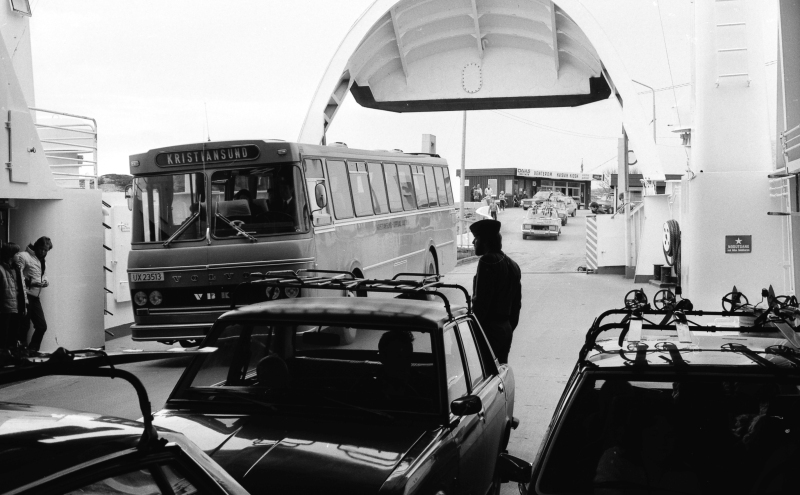 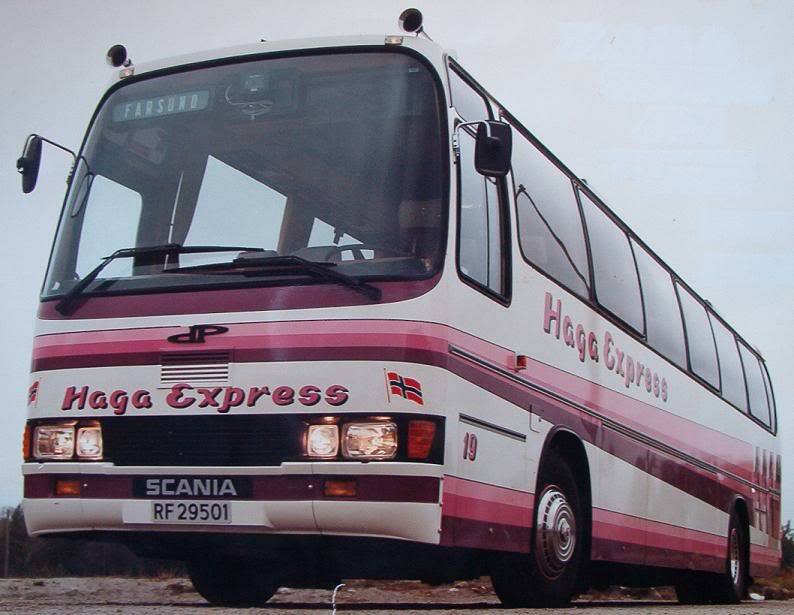 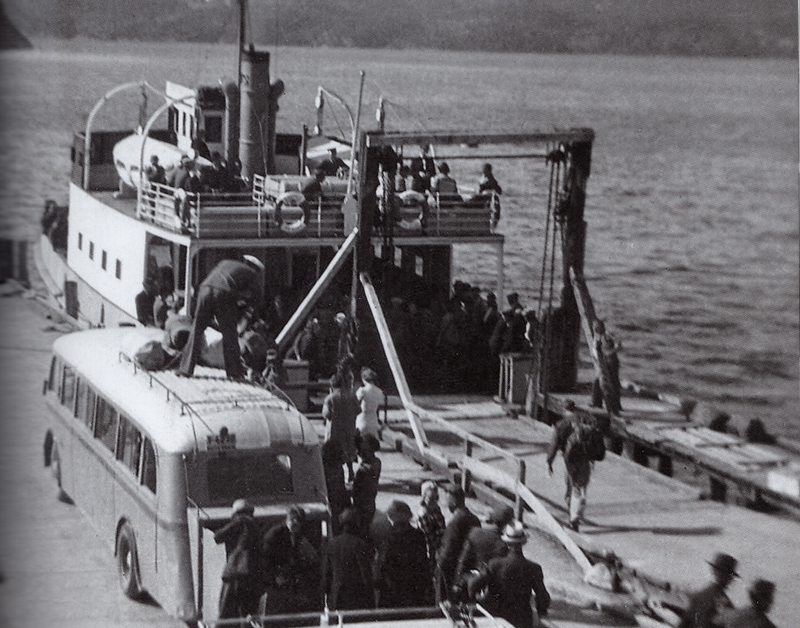 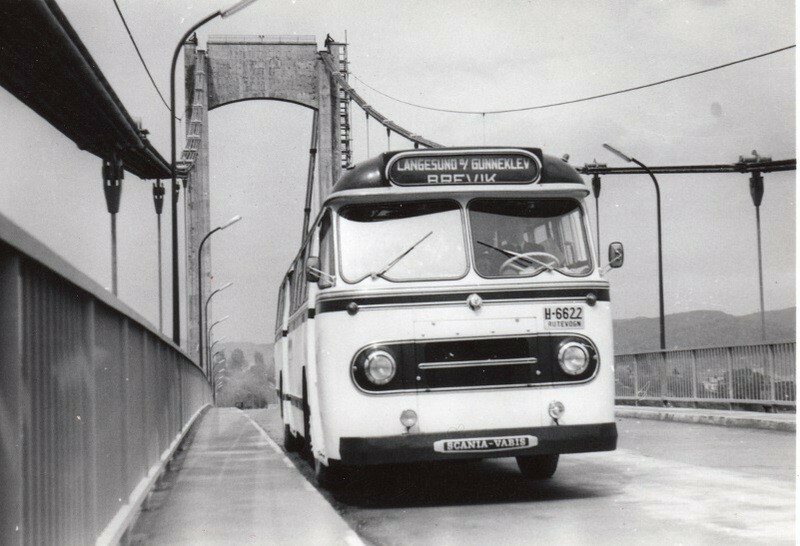 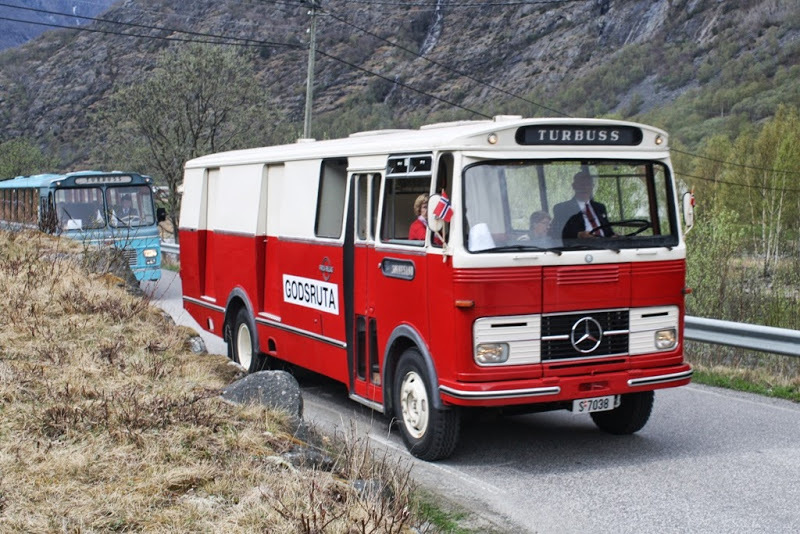 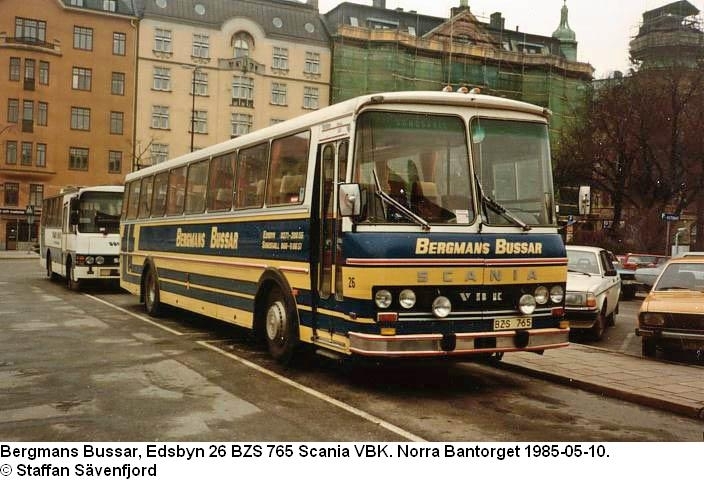 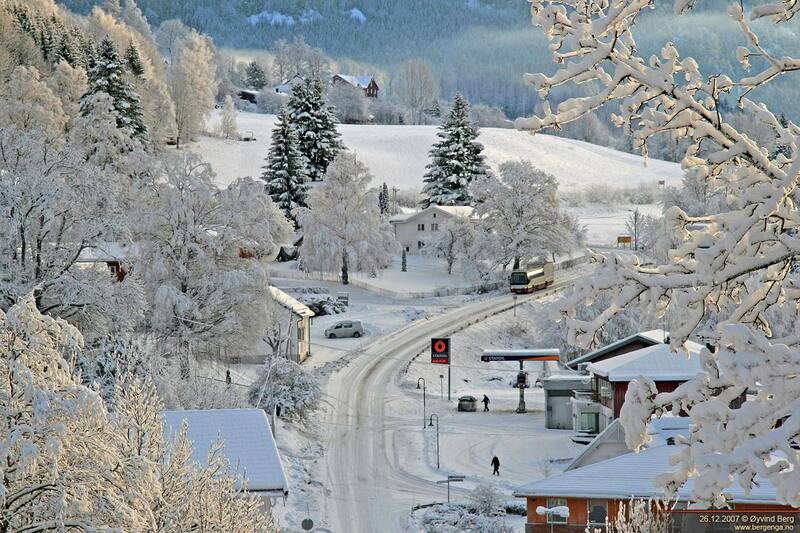 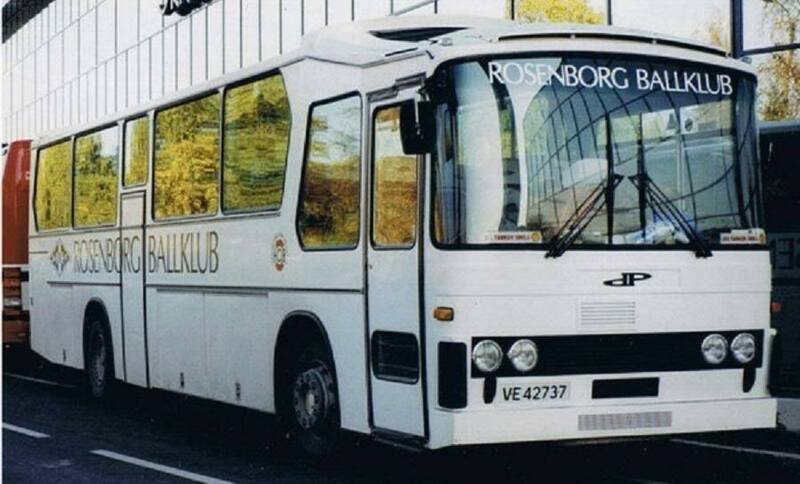 The export market continued to expand and the first bused to Norway and Iceland were manufactured in the 1970s. 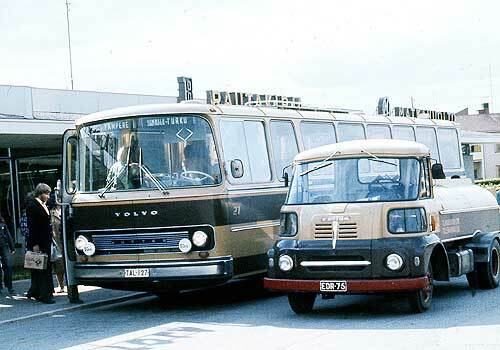 In 1976 the company made a record in the volume of produced bodies as the total amount of completed units rose to 246. 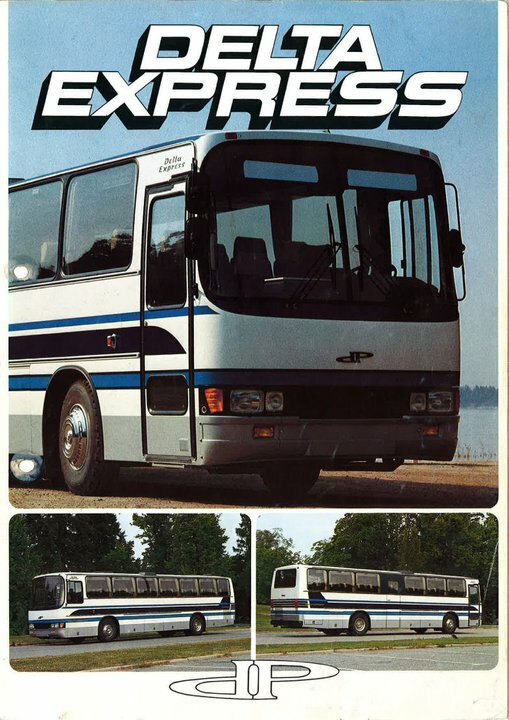 77 of these buses were delivered to the export market. 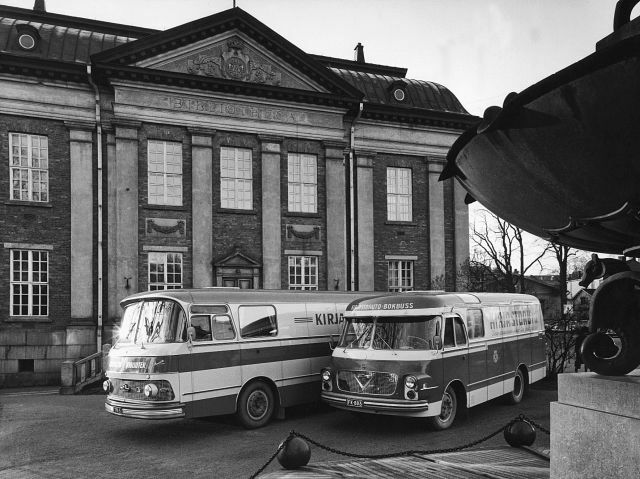 The company’s buses were also awarded more prizes at many international exhibitions, including an exhibition in France. 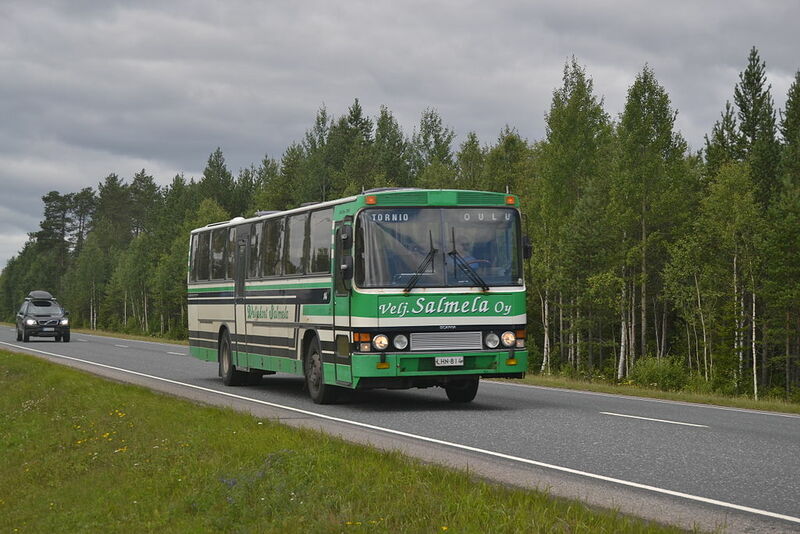 After five years of operations in Lieto, the factory became inadequate and new facilities were acquired in Yliskulma, Lieto. 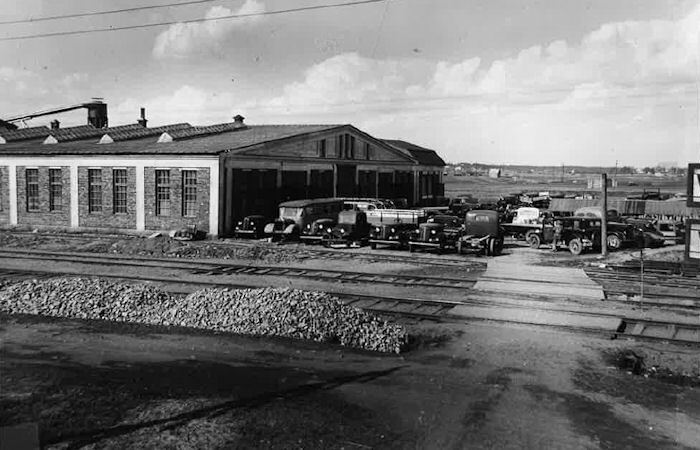 The former dairy facility had already been used for metal industry for some years. 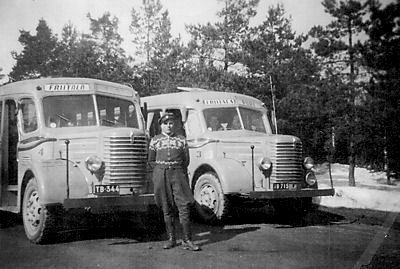 The chief Supervisor of the factory, Mr Helmer Forsman, was a very creative manager who invented various special machinery and tools for body production. 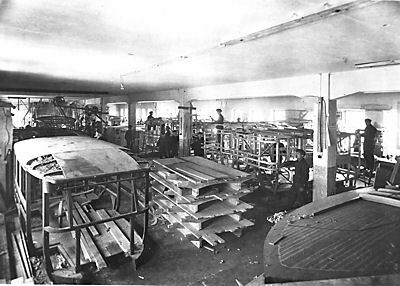 The roofmaking tool that Forsman invented is still in use. 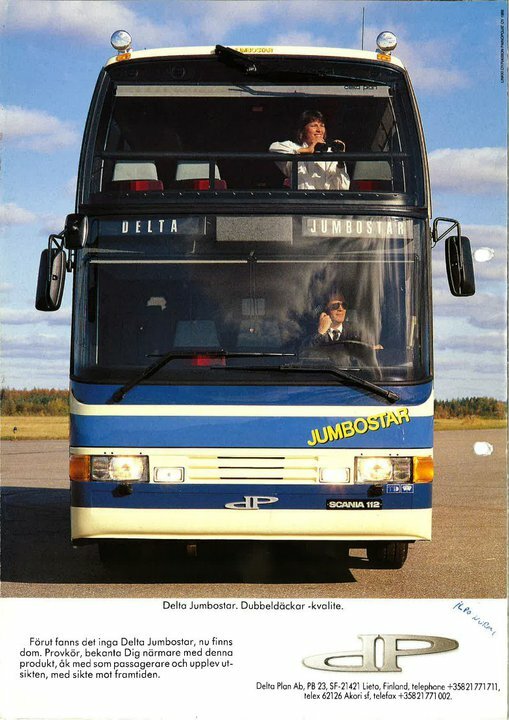 The year 1979 was very significant for Delta Plan. 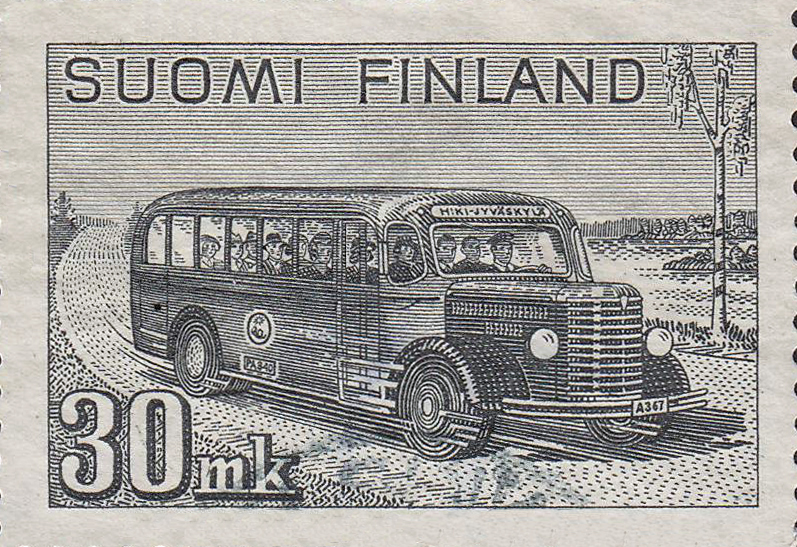 The company acquired the assets of Erikoiskori Oy, a special vehicle factory in Iisalmi. 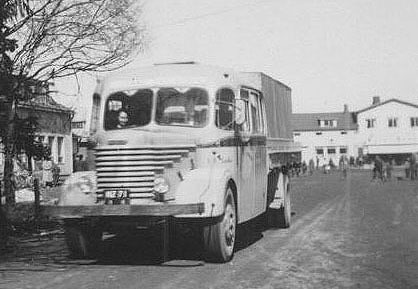 The purpose was to add production of fire engines to the product range. 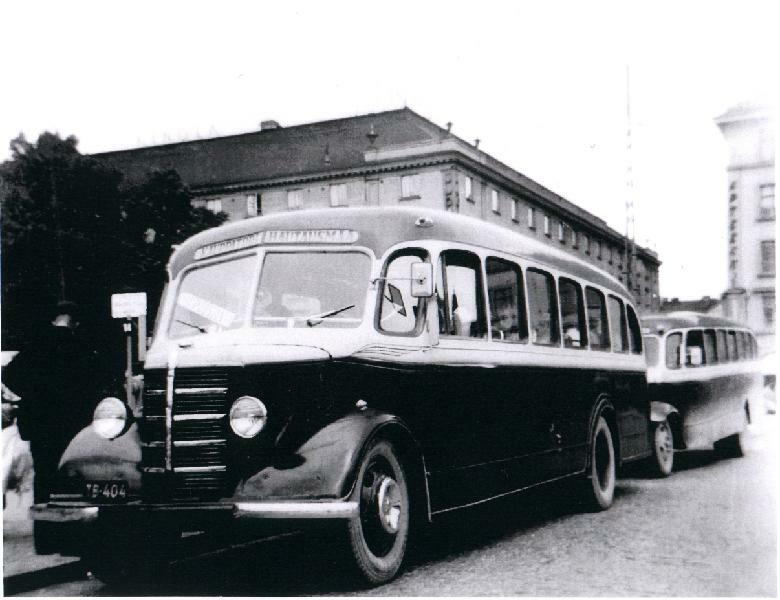 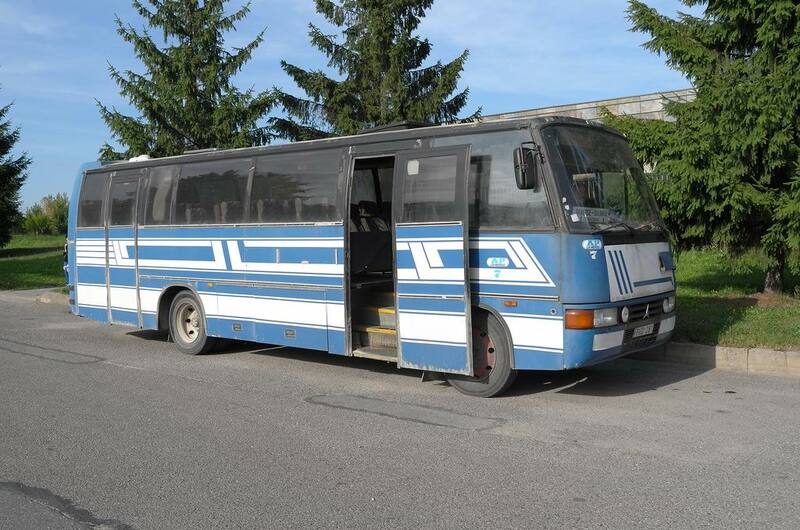 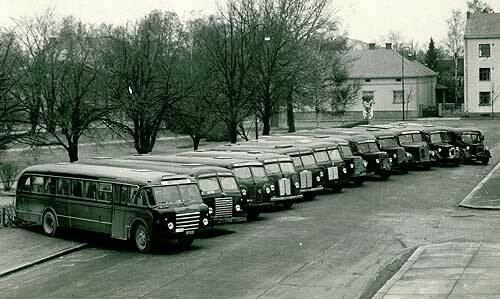 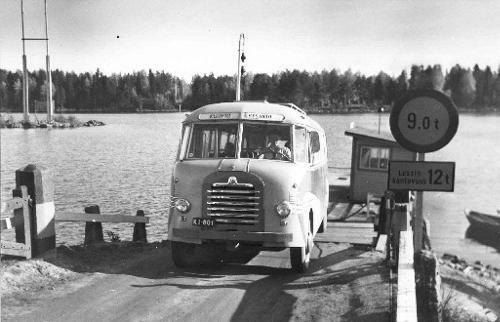 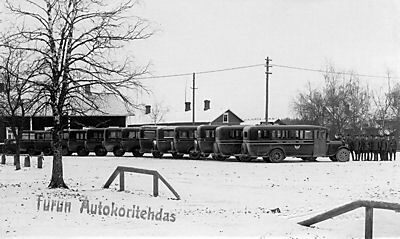 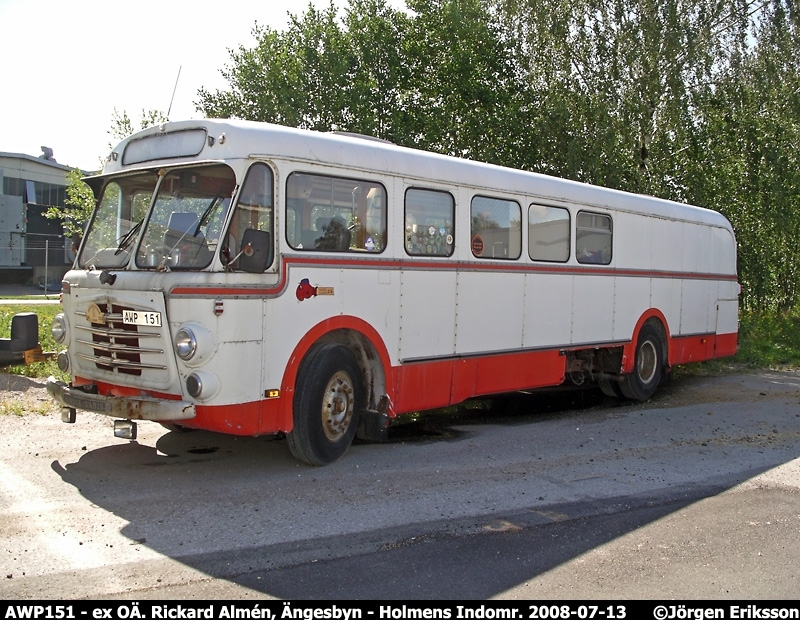 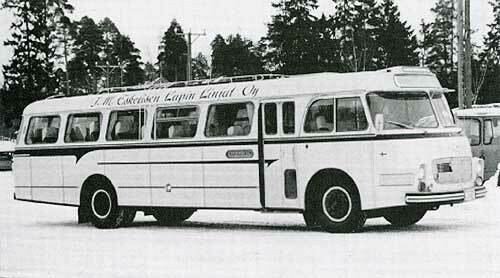 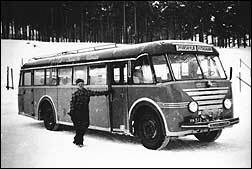 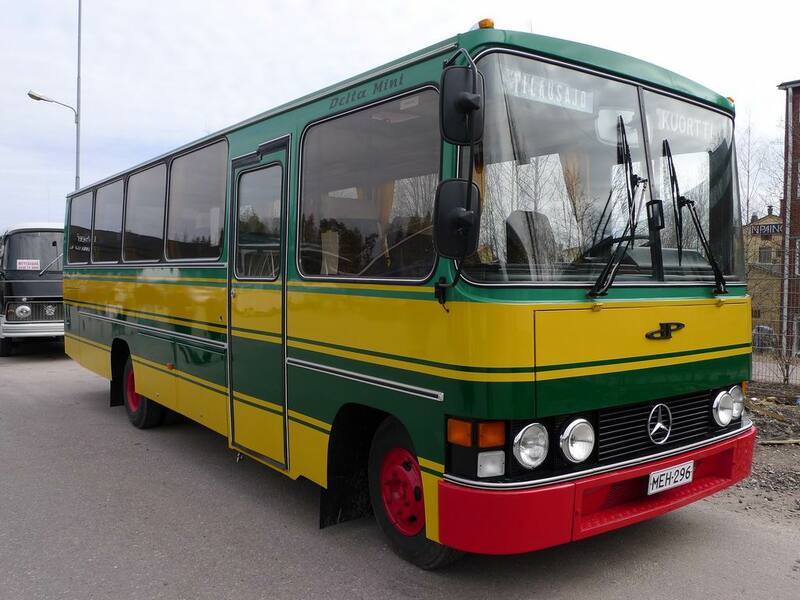 However, only one fire engine unit was built and Iisalmi became the production facility for short buses. 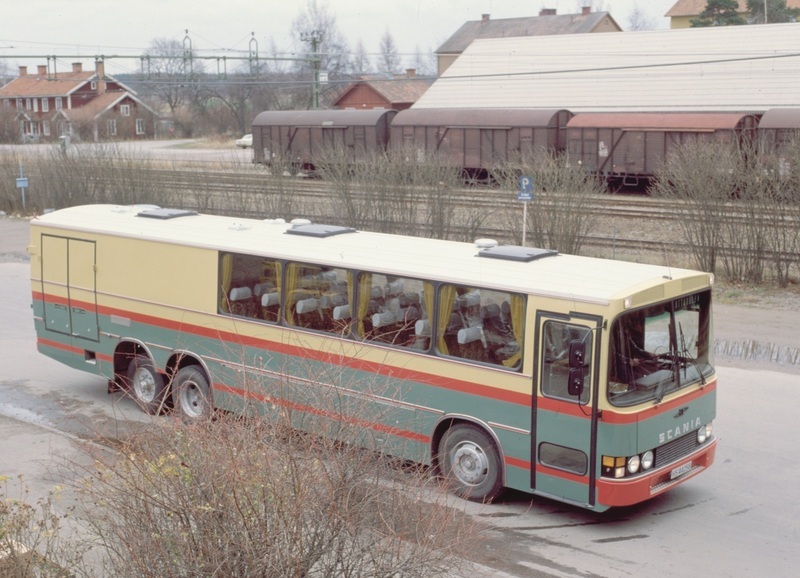 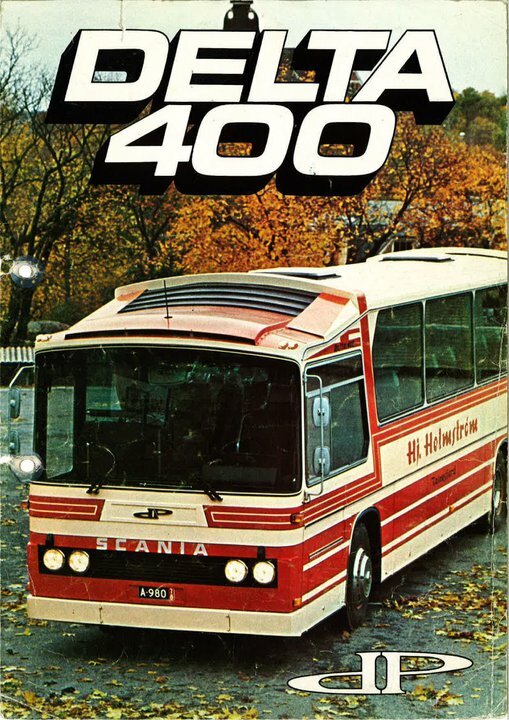 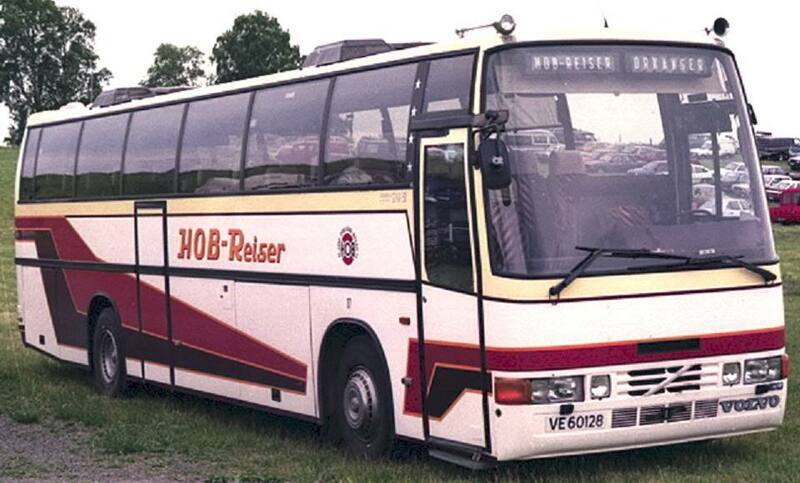 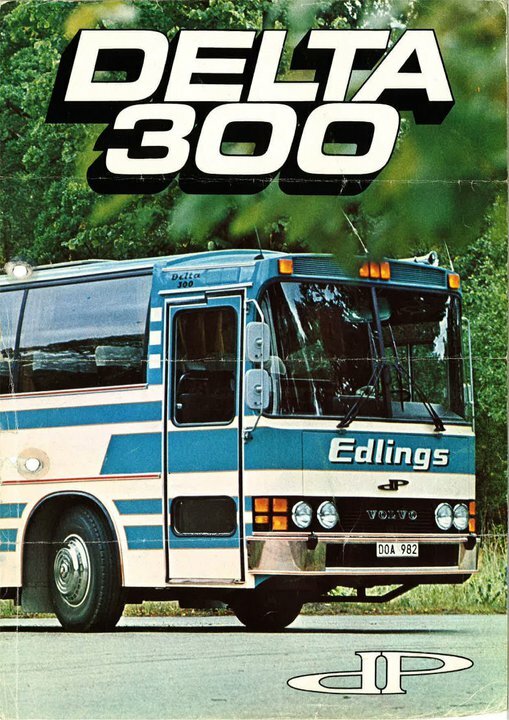 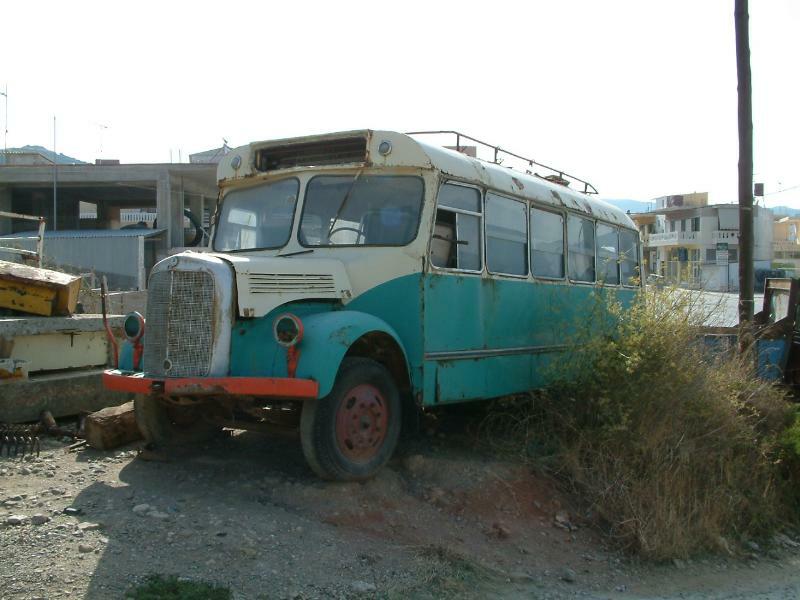 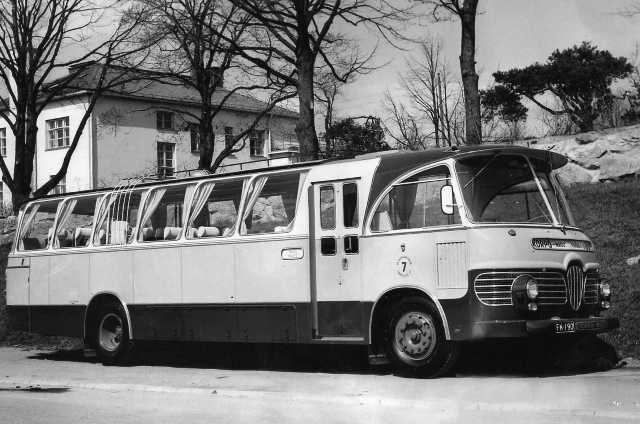 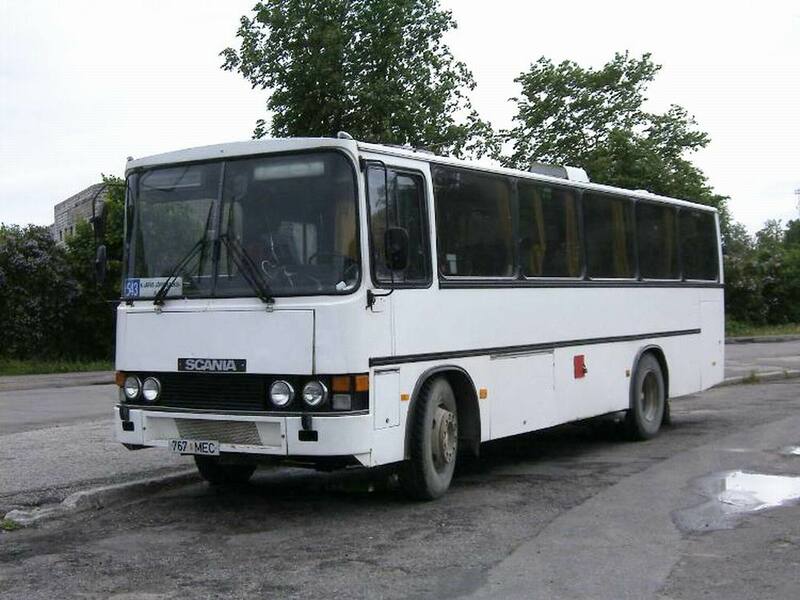 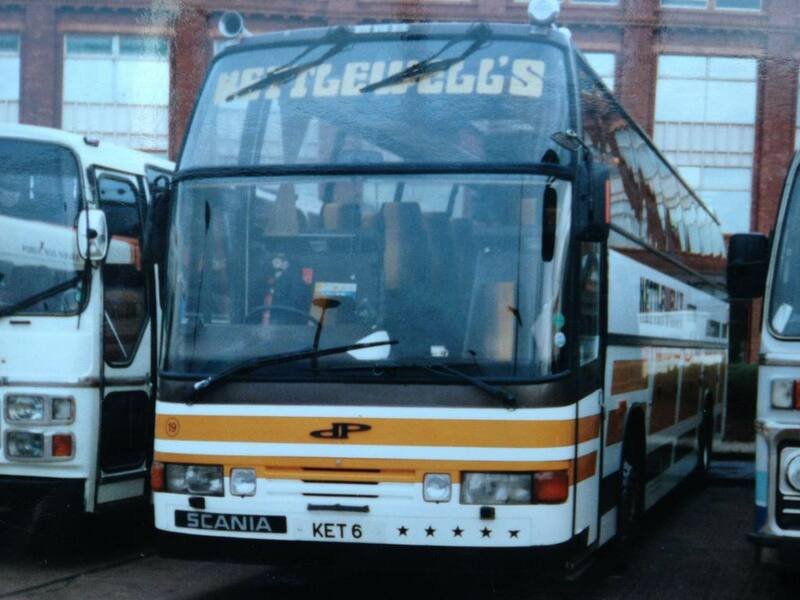 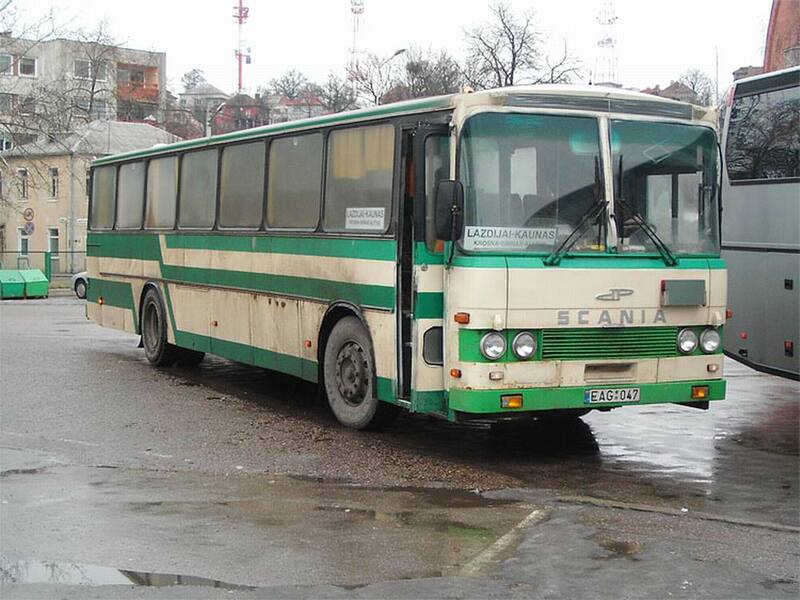 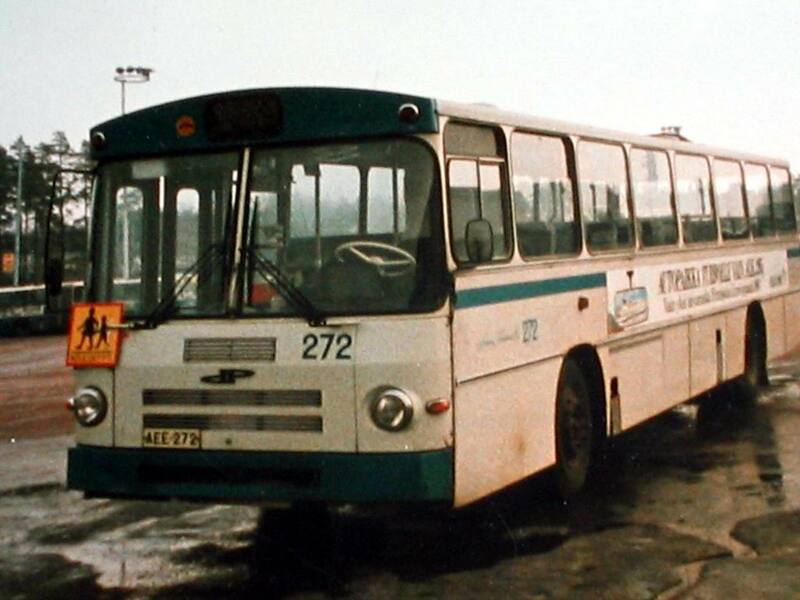 During 1980 an amount of 186 bus bodies were produced. 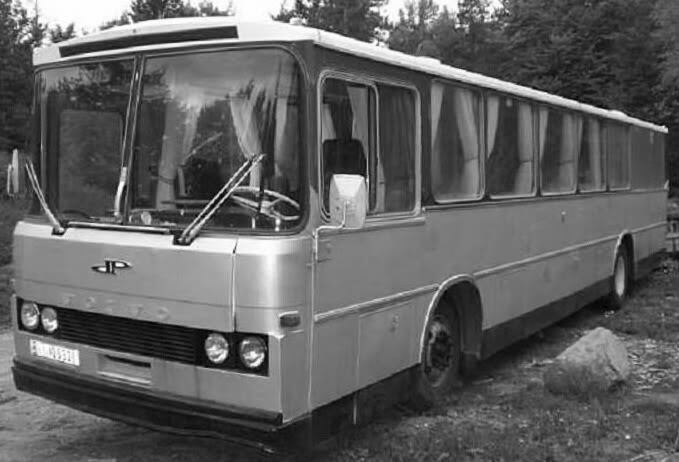 The prototype of the Delta Star – model was completed and this model participated in an exhibition in Nice during the autumn in 1981. 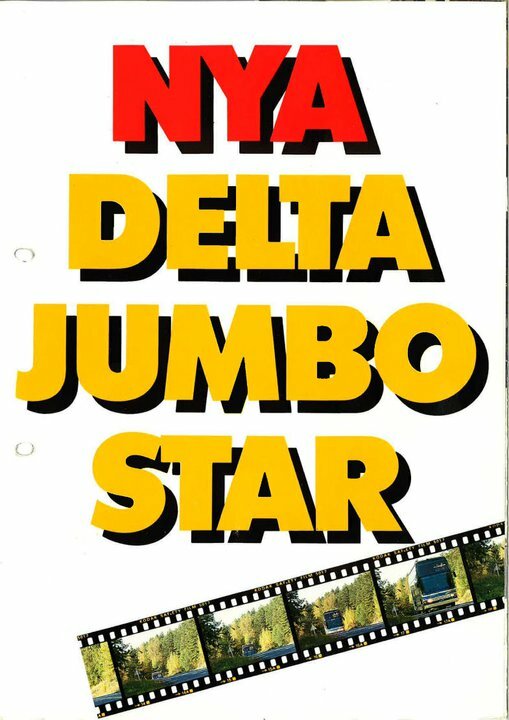 In January 1982 Oy Delta Plan Ab was sold to Ajokki Oy and the 18 year long career of engineer Aimo Laukka in the head of Delta Plan ended. 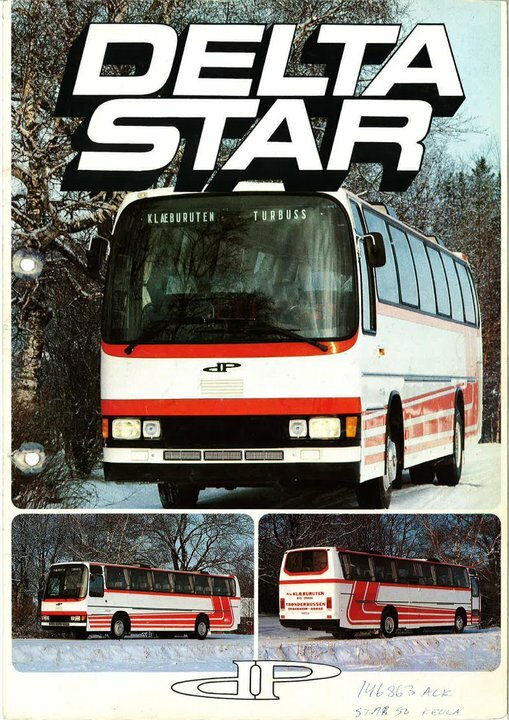 The company continued its growth and a new model, Delta Superstar, was introduced in 1983. 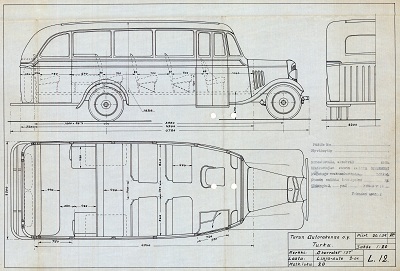 The same year, the model was exhibited at the Nice Salon with great success. 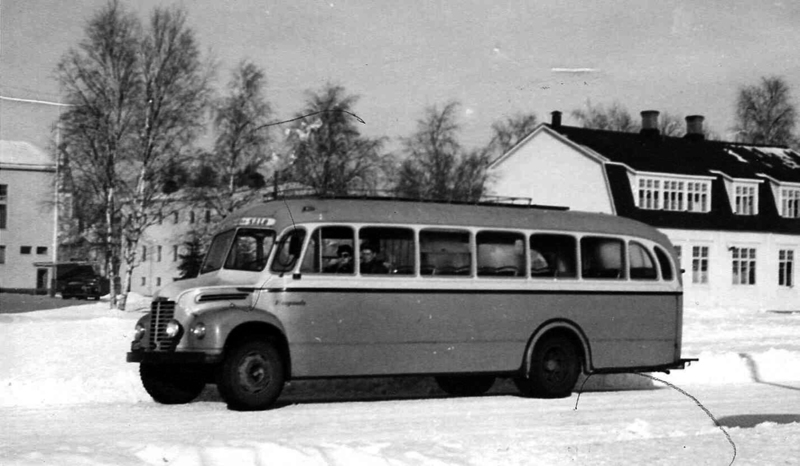 Annual production was 173 units. 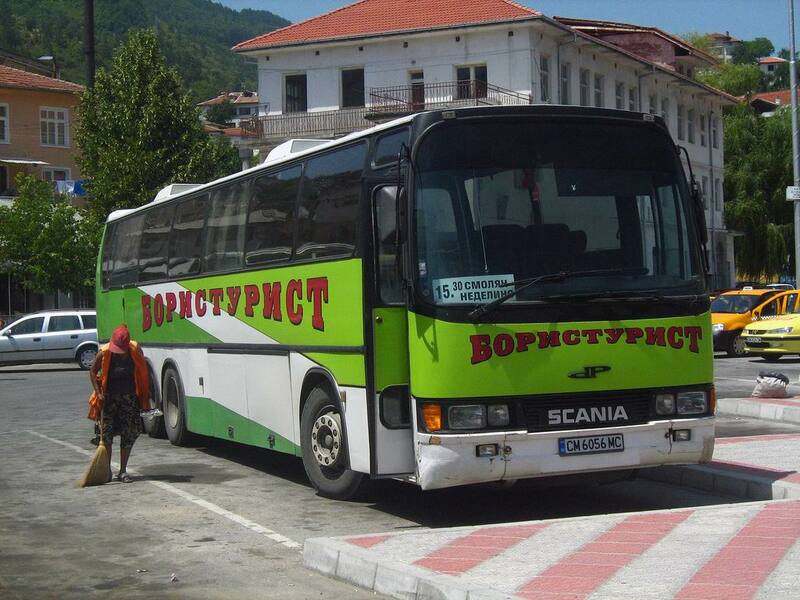 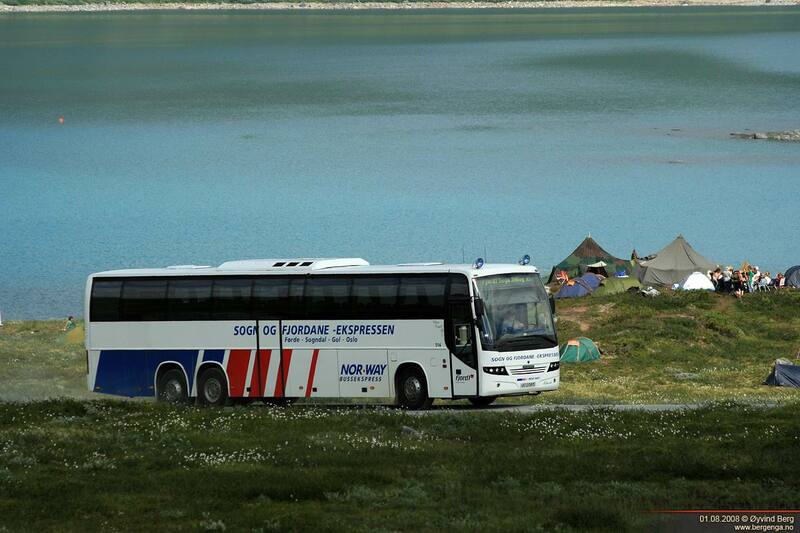 59 buses were delivered to export market. 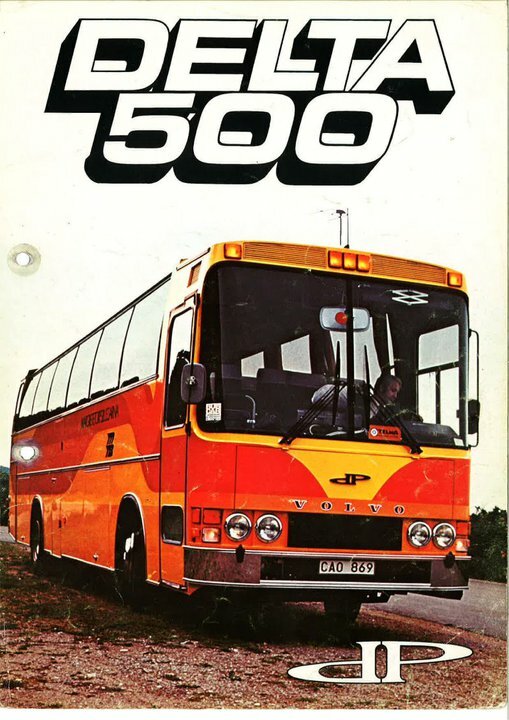 The 50th anniversary of the company was celebrated in August 1985. 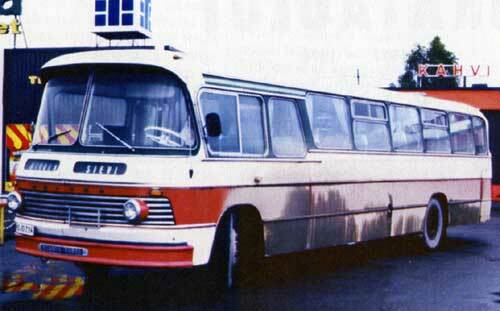 In the same year the most popular body model of the company, Delta Star, was introduced. 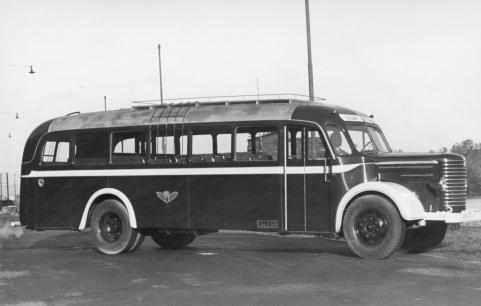 Shortly after the Delta star 50 model was completed, some new models were launched including the doubledecked Jumbostar and the smaller coach Delta Star 30. 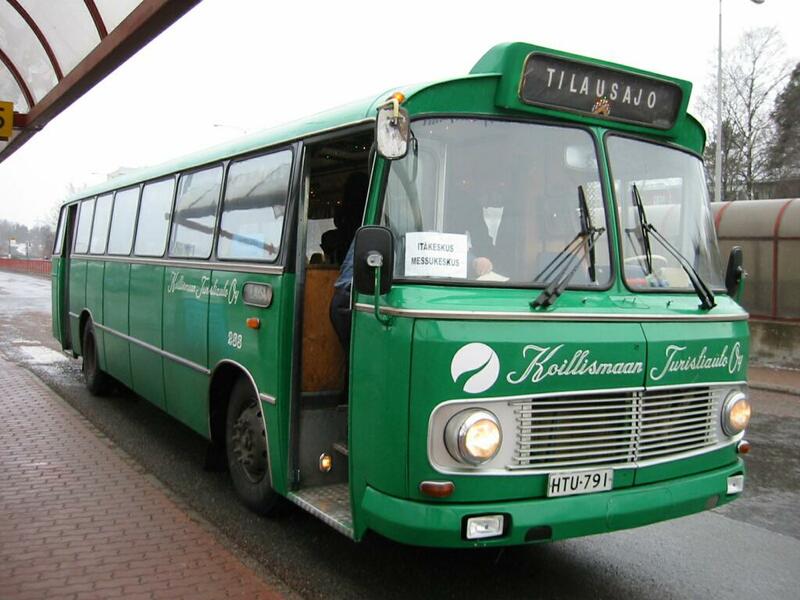 In 1986, Ilmari Mustonen, the owner of Wiima Oy bought Ajokki and Delta Plan. 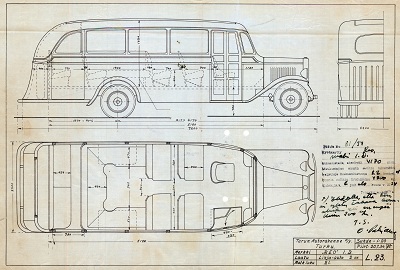 The production at this time was 171 bodies of which 96 were exported. 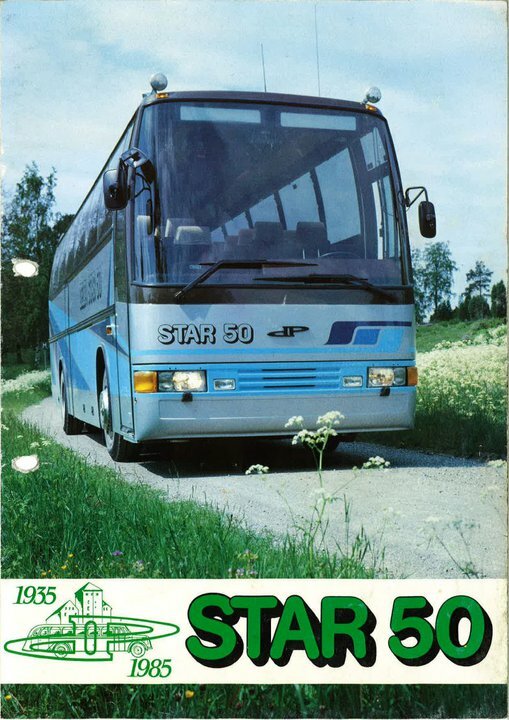 In 1988, the products included models like the Star 301, Star 501, Superstar and Jumbostar. 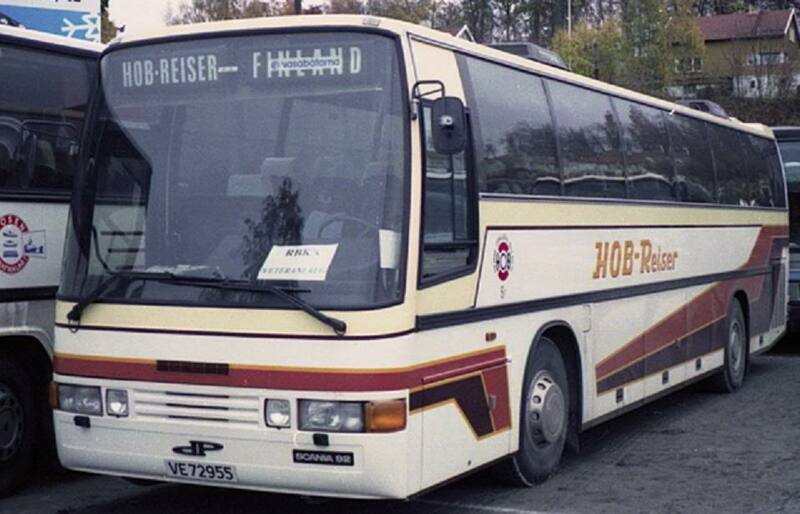 In 1989 the company changed its name to Carrus Oy. 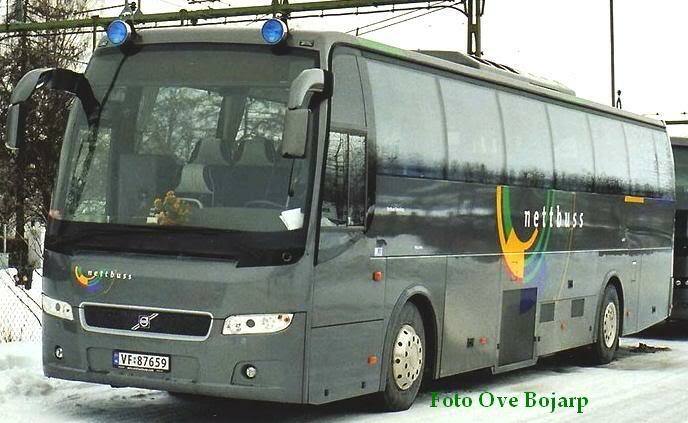 Consequently, the Lieto factory got the name Carrus Oy Delta. 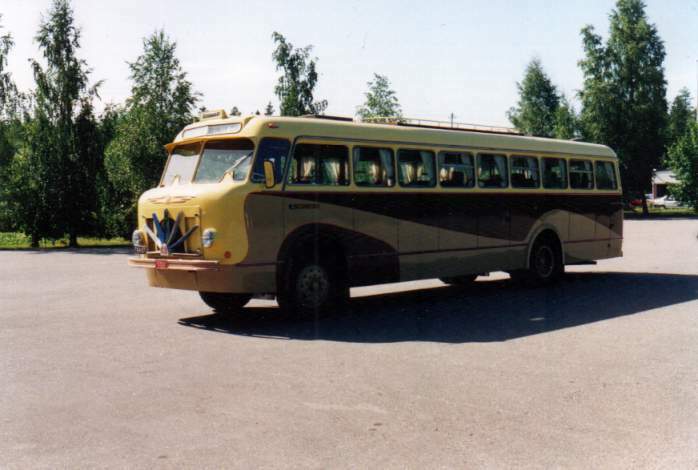 In 1991 the body frame material was changed to stainless steel, and Carrus Stainless was used as the base material in all the bodies manufactured by Carrus factories. 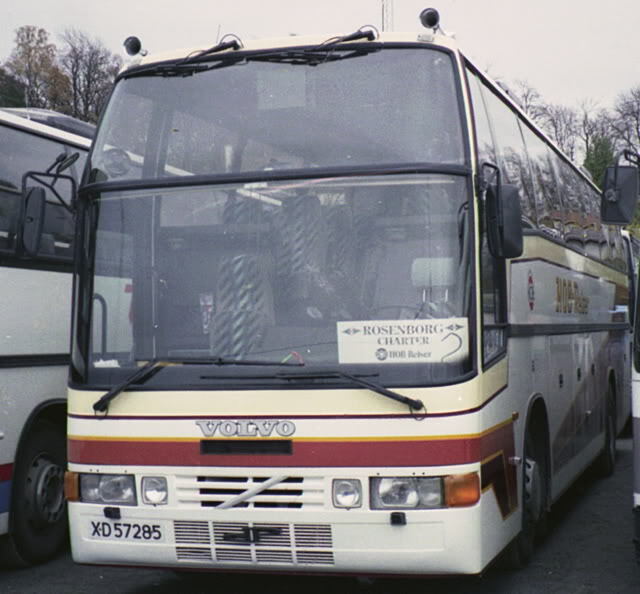 In the mid 1990s, the Carrus Oy Delta body models were completely updated taking into account new safety requirements for modern bus bodies. 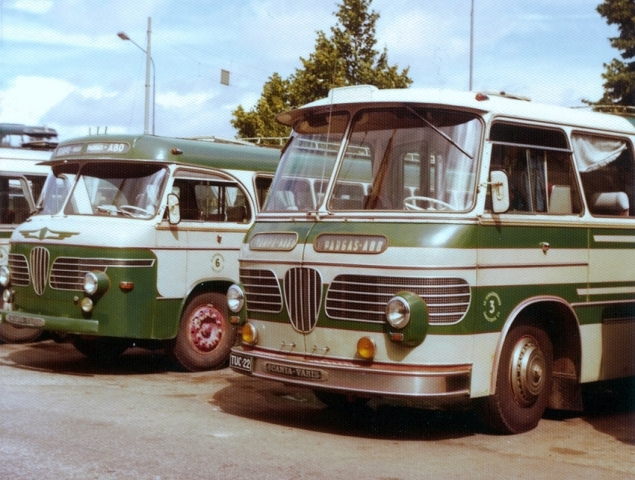 The new models were named the Star 602, Star 502 and the Star 302. 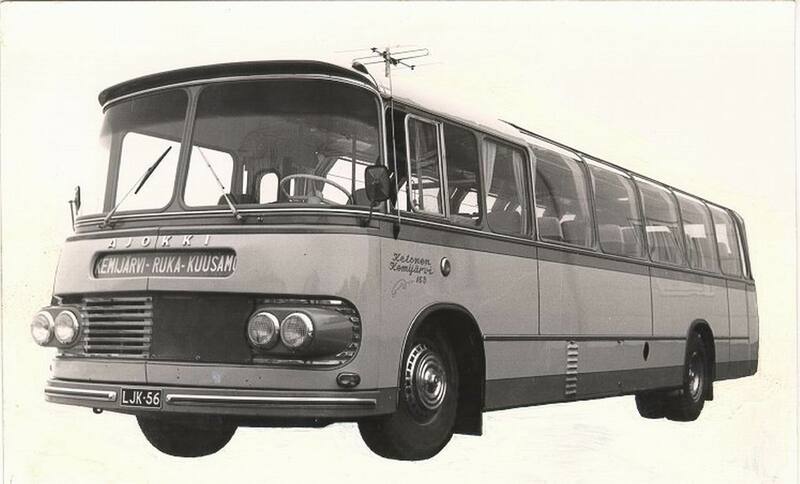 The Turku factory is known for innovative solutions proved by the many body models introduced. 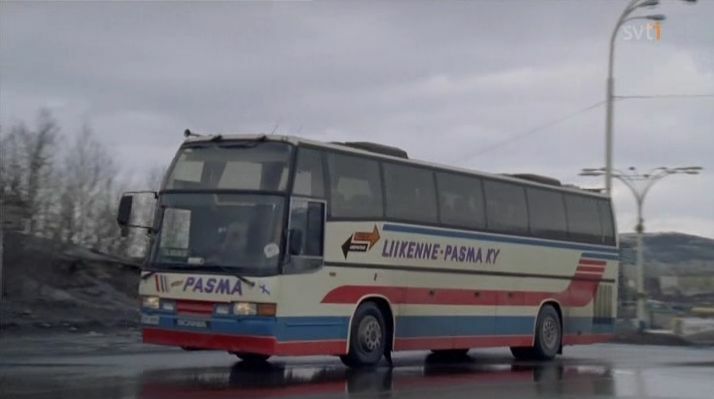 Also, an own passenger seat was developed during the 1990s. 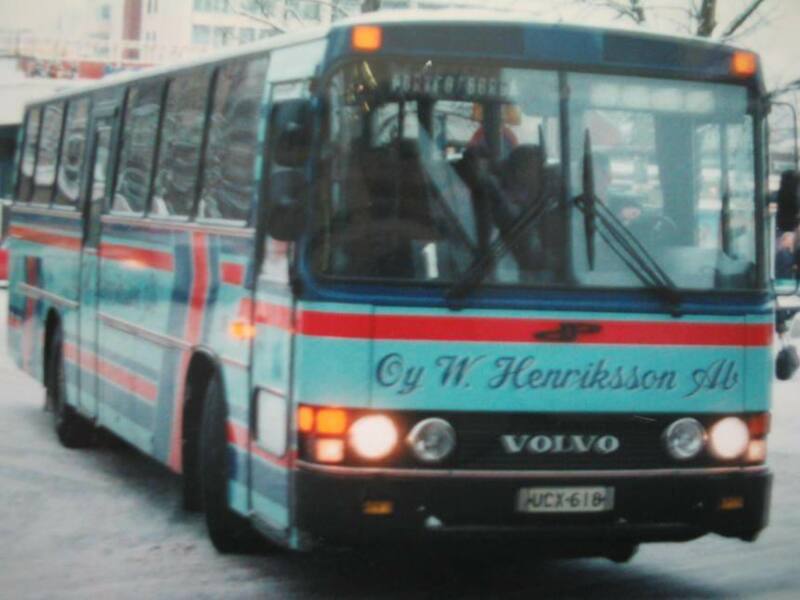 In 1997, a new page was turned in the company’s history as the company was sold by Ilmari Mustonen to Volvo Bussar AB, and Carrus became a subsidiary for Volvo. 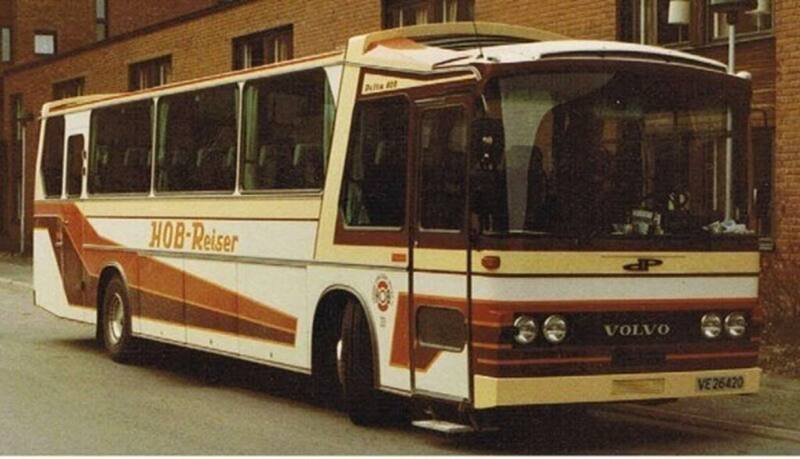 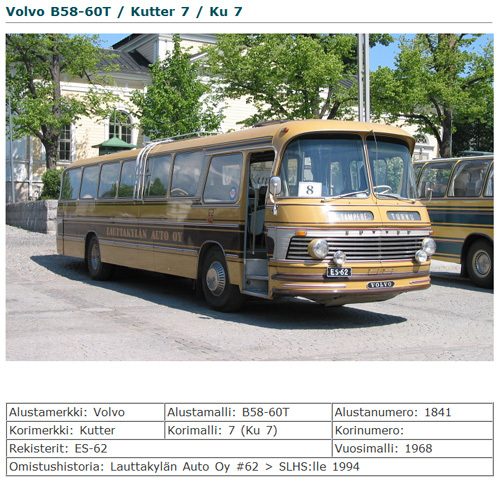 In these times the factory experienced significant growth in international relations and today there are still several bus models which have been developed at the Lieto factory that are manufactured today by Volvo in countries like Mexico, Poland and India. 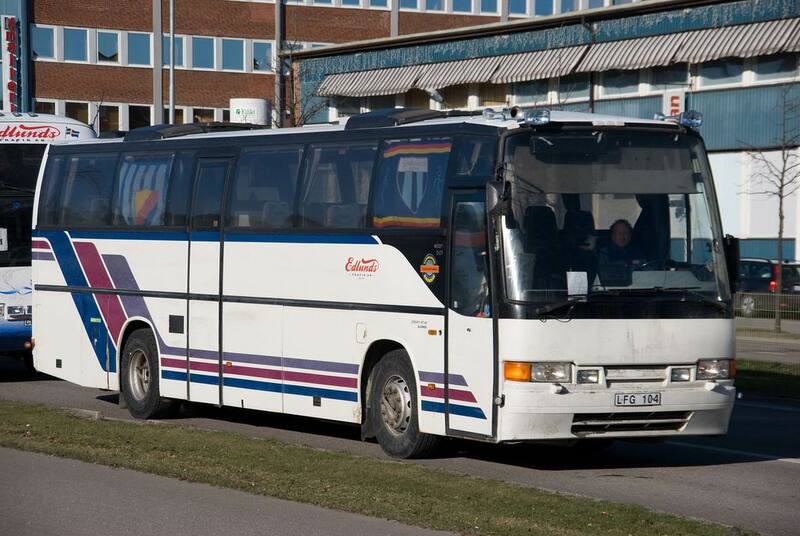 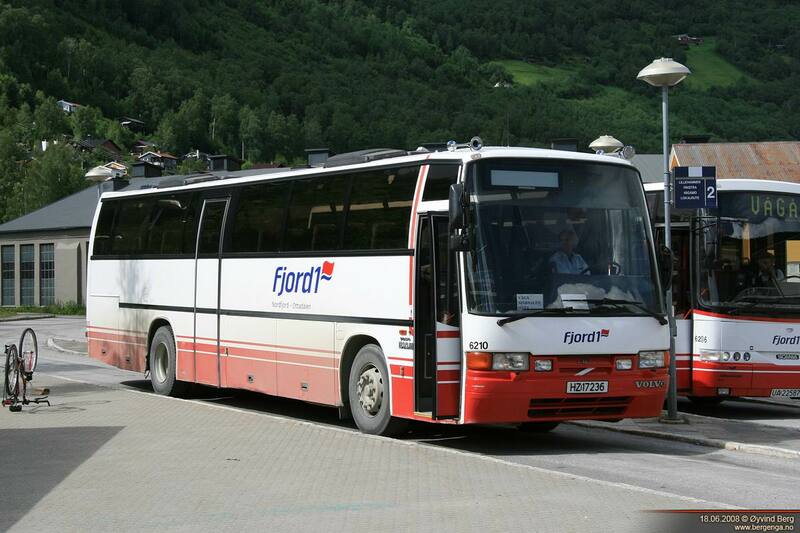 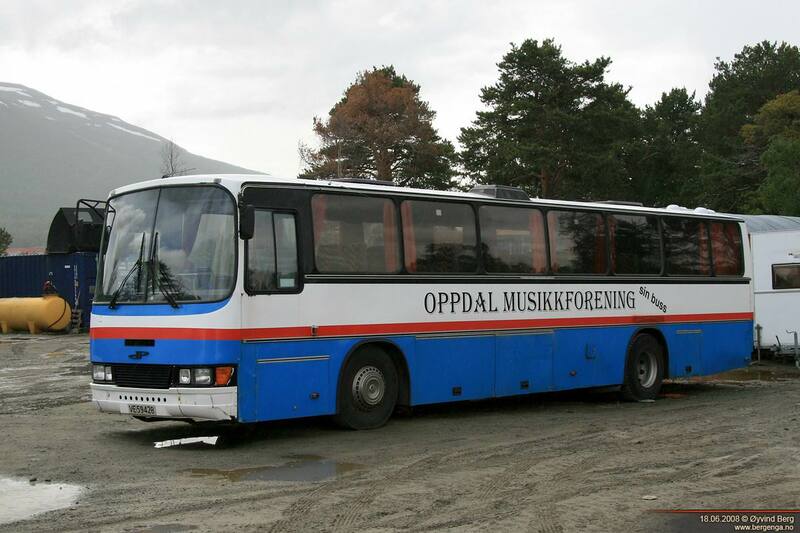 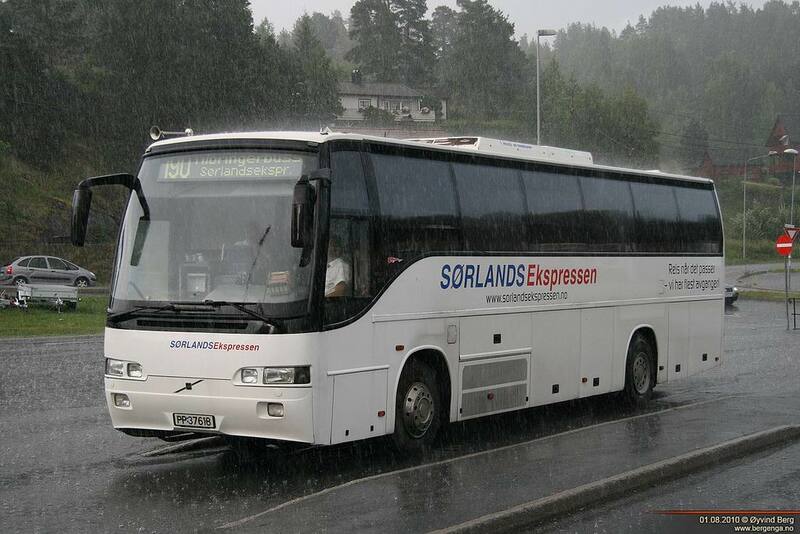 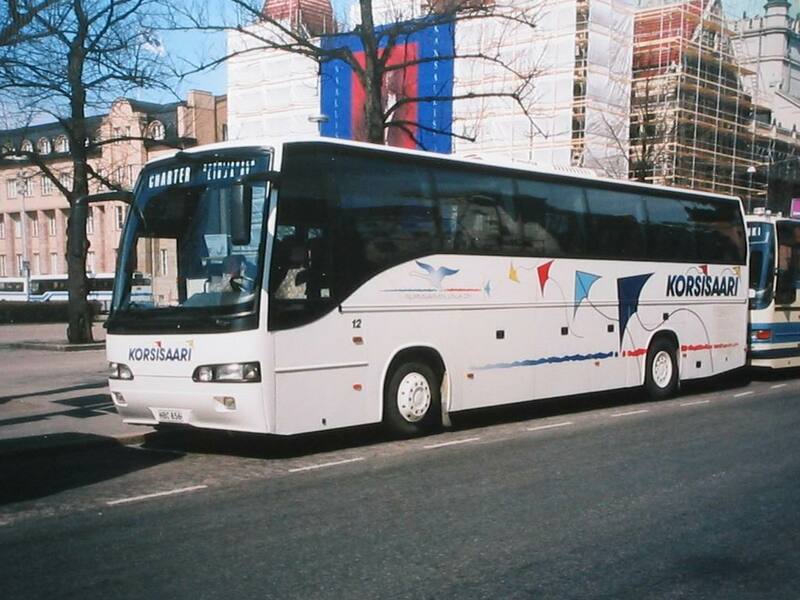 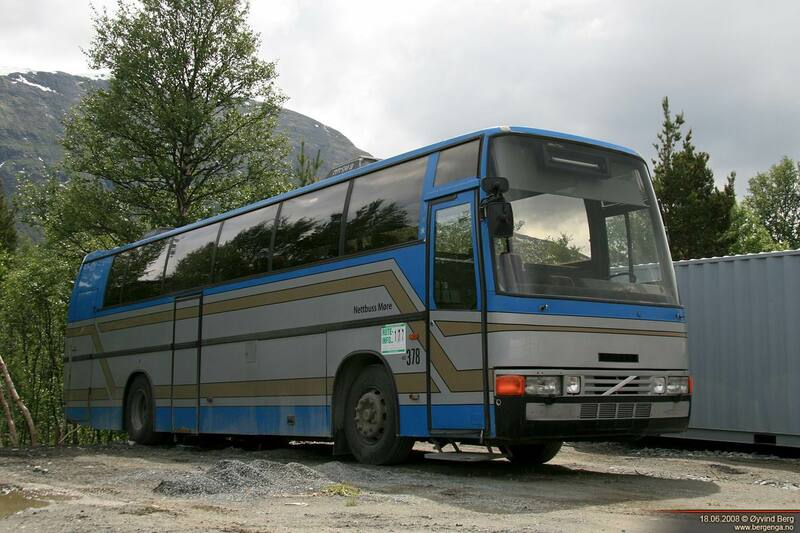 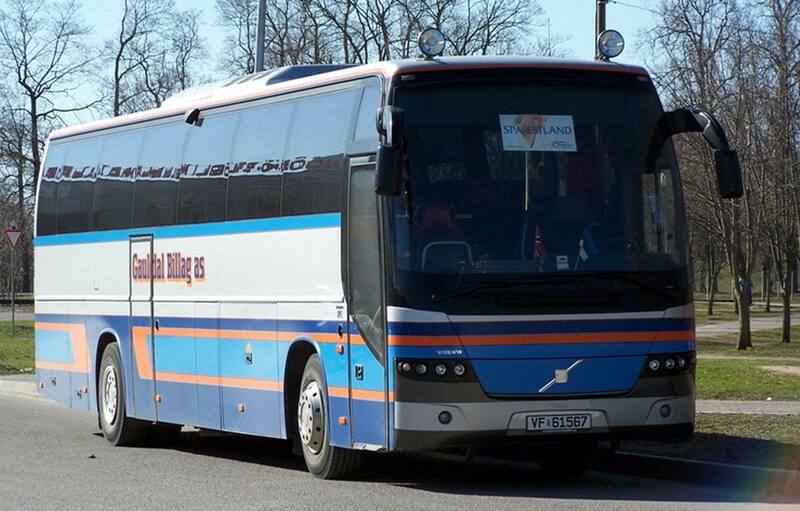 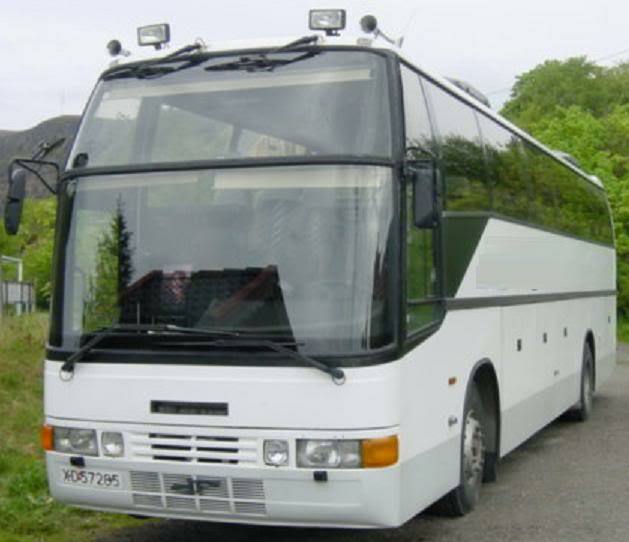 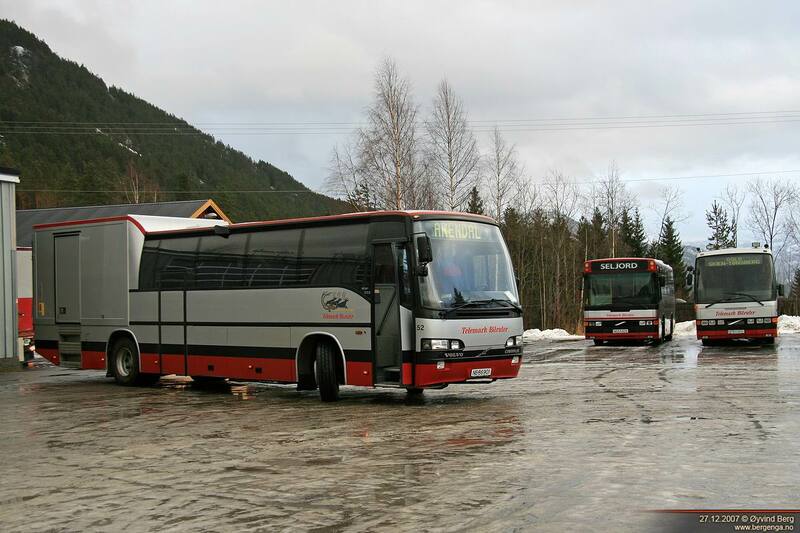 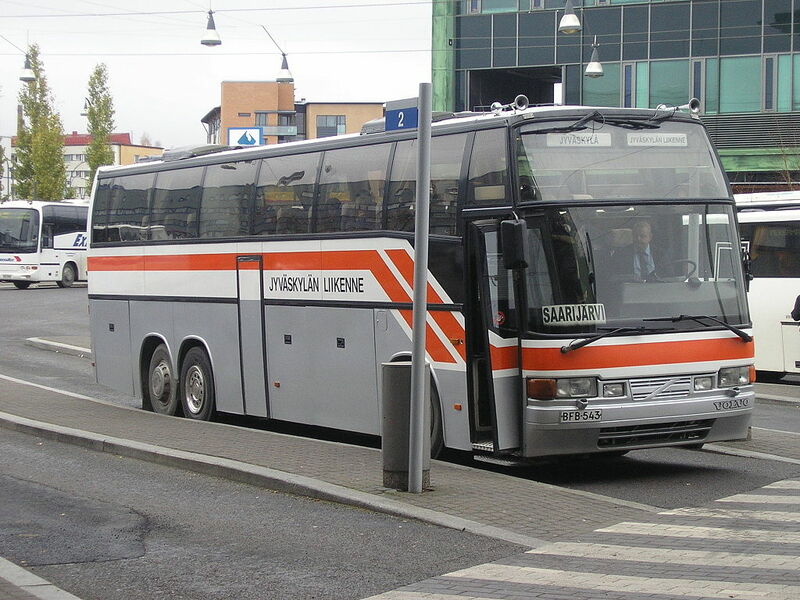 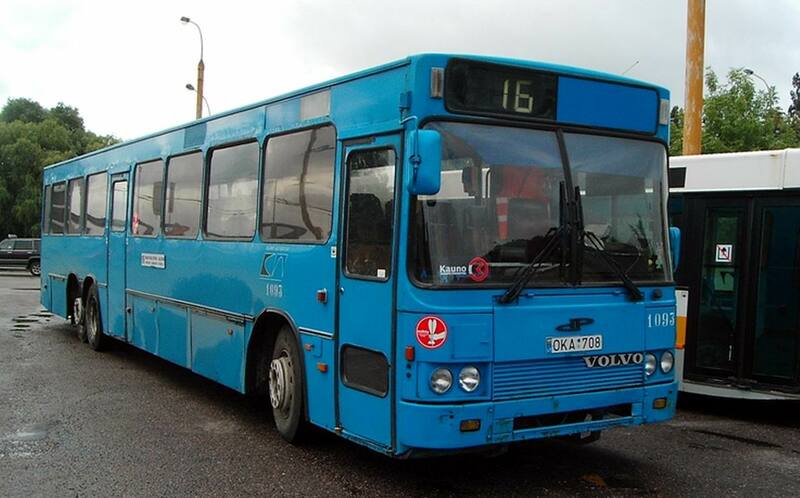 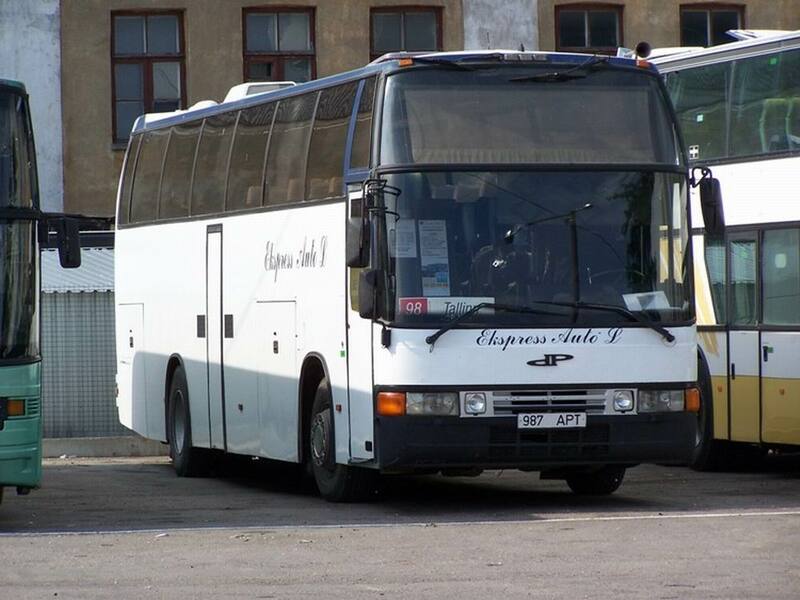 The name Carrus Oy Delta was changed to Volvo Bus Finland Oy Turku in June 2004. 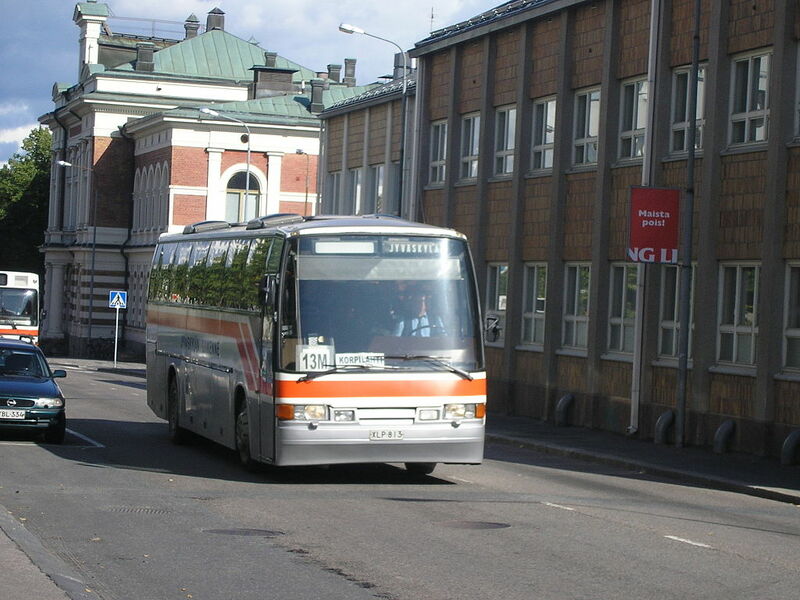 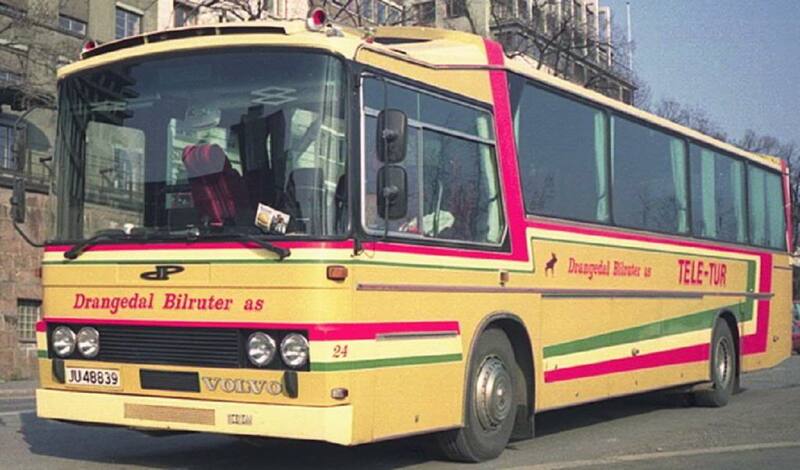 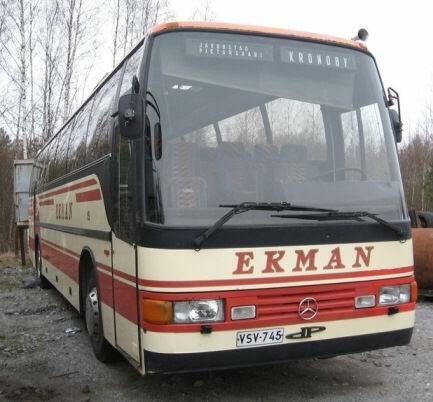 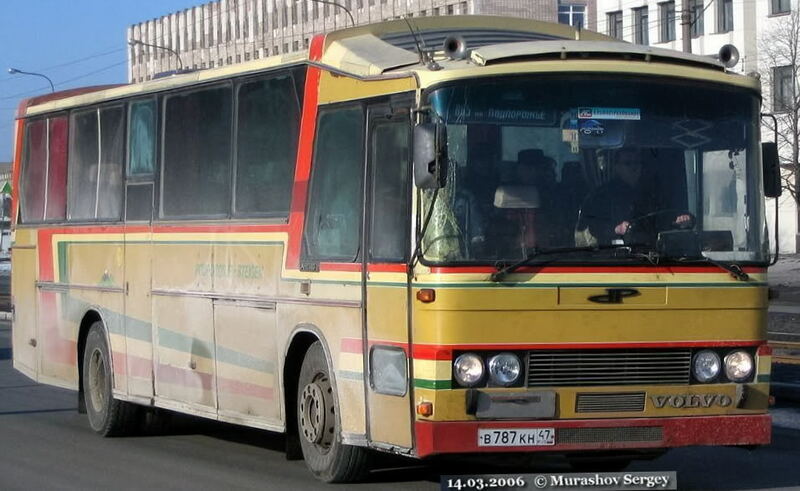 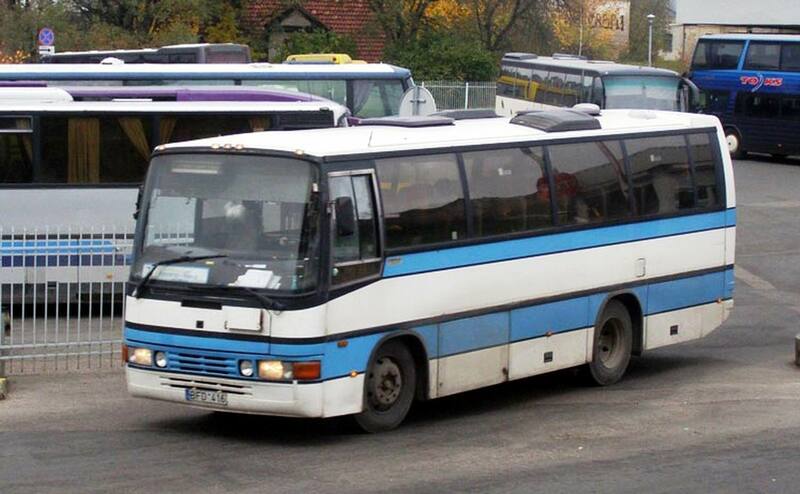 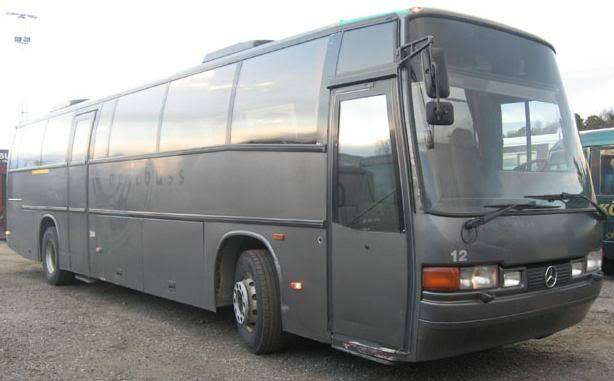 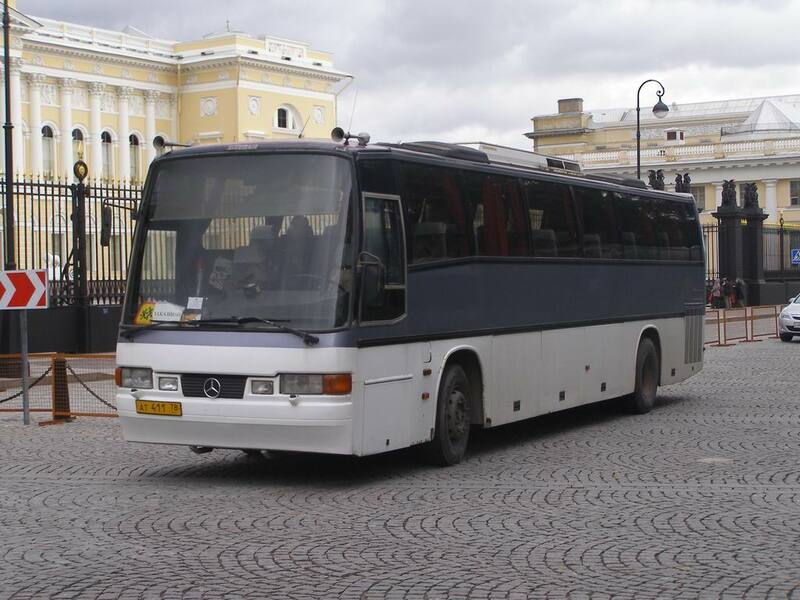 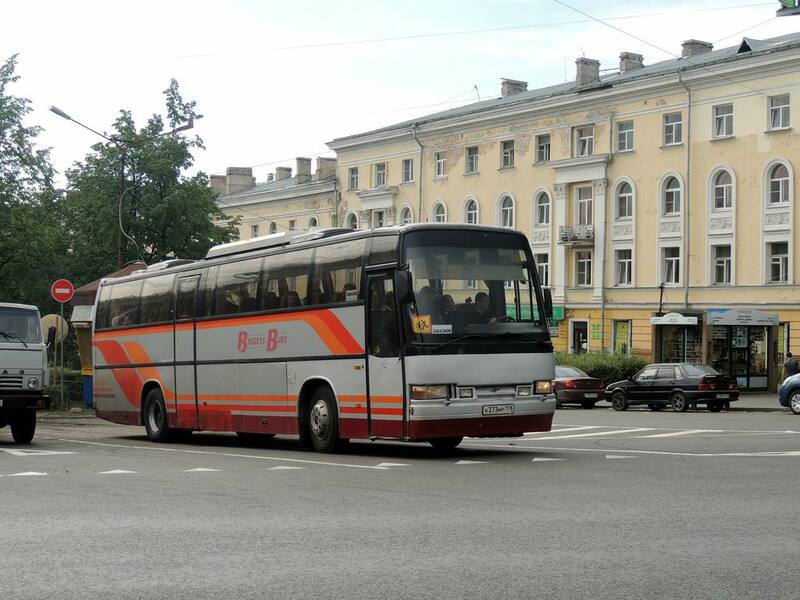 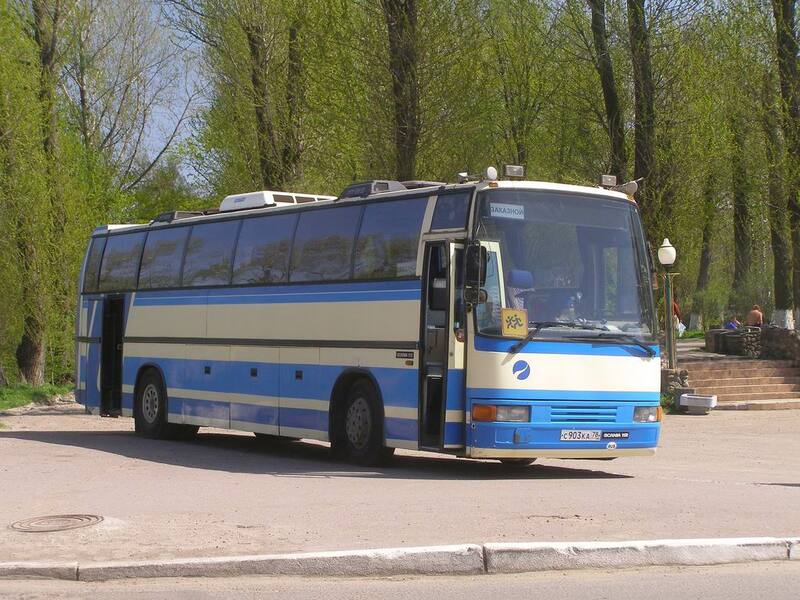 In the year 2004 185 buses were produced at the Lieto factory. 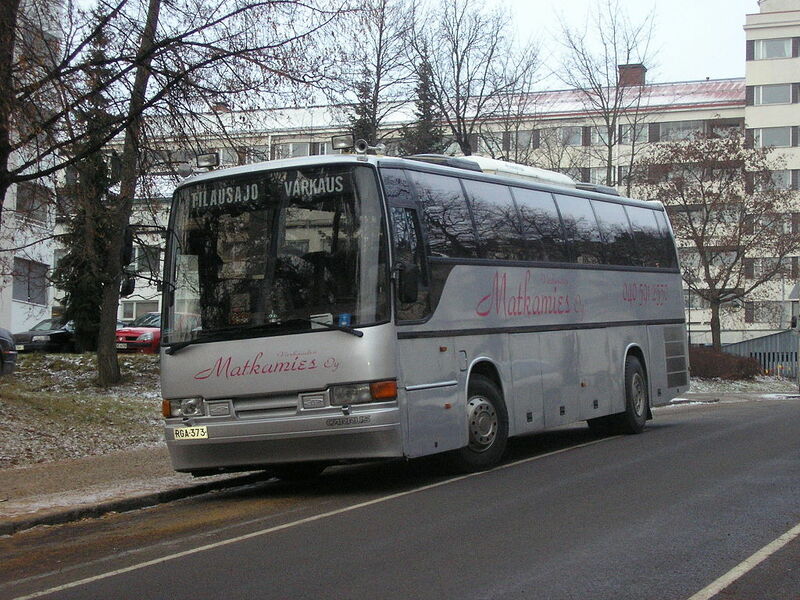 The last drastic change happened in 2008, when the company operations were transferred back to Finnish ownership. 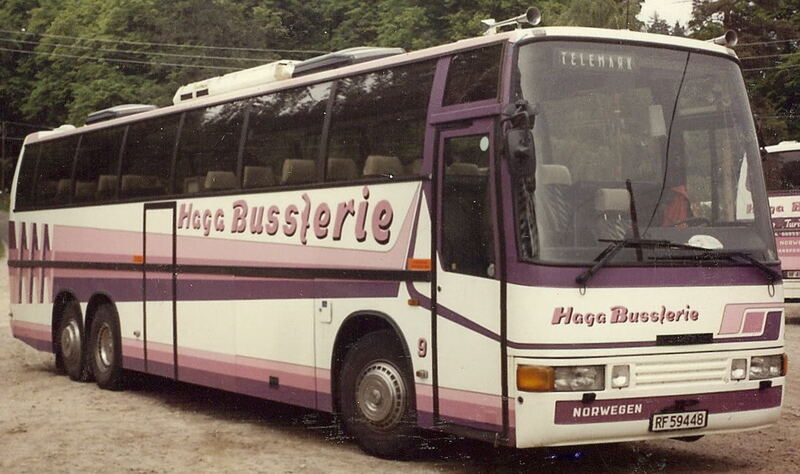 The traditional company name was restored, which lives on today. 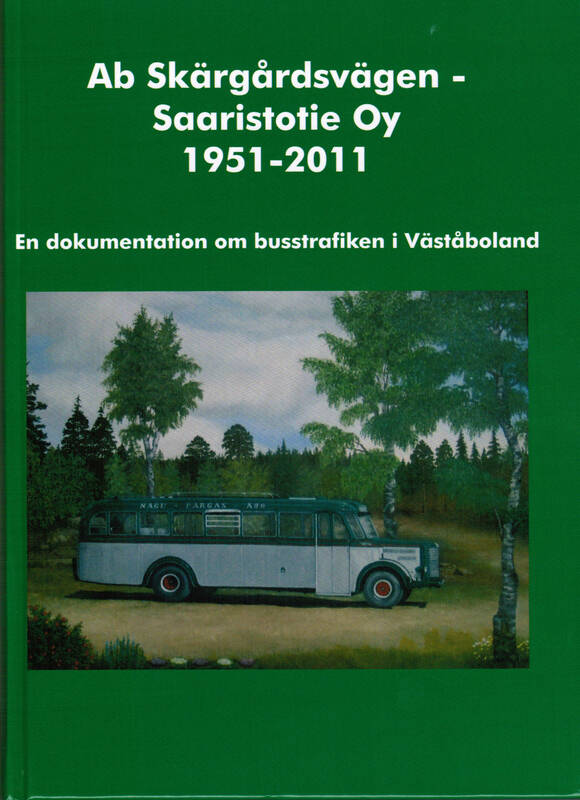 This is the story of Carrus Delta Oy. 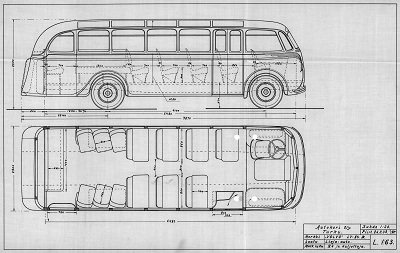 Hello, of course this paragraph is actually good and I have learned lot of things from it regarding blogging.